If it is Atlantis, it’s gotta be located in the Atlantic Ocean. In the present document we gather, in the form of a Checklist, some of the most important pieces of evidence that we have mustered on the location of Atlantis over the many years in which we have been researching the subject. This Checklist  shown below  is extremely instructive, as it allows the direct, synoptic comparison of complex information without the encumbrance of wordy arguments and elaborate justifications. Size and space do not allow a detailed discussion of the many issues covered here or the presentation of the vast amount of information we have examined during the course of our researches. It should also be noted that our theories and our pioneer discoveries are fast being confirmed to an amazing extent by all sorts of sensational discoveries of sunken structures in both India and China and the Southeast Asia region. So much so, that many atlantologists who formerly espoused theories such as Pole Shift and an Antarctic Atlantis have now switched to our own views, which they often tend pass as their own discoveries. Moreover, recent climatological and geological researches — for instance, on the date of the cataclysmic end of the last Ice Age and on the rapidity of sea level rise at the very date preconized by Plato — are fast confirming our theory that Ice Ages are often initiated and terminated by major volcanic eruptions and volcanic paroxysms of a type now associated with so-called Heinrich Events. This is precisely the type of positive feedback mechanism that we postulated over two decades ago, when we started our researches. NOAA maps of the seafloor of the region of the South China Sea — obtained by spy satellites from outer space, and only recently divulged — have also dramatically confirmed the exactitude of our maps of the Sunda Shelf and other submerged areas published elsewhere in this page. The impact of my publications and researches has been so large that several researchers — who formerly espoused different theories such as Pole Shift and an Antarctic Atlantis — have stealthily abandoned their former views and discreetly moved to our views which they often tend to misappropriate as their own. The result has been a great revival of the public interest on Atlantis and its search. Over a hundred books and documentaries have recently been published on the issue, and several expeditions have been launched in order to research several possible locations, including our own. Atlantis is, for all practical purposes, currently resurging from the waves. Very few now doubt its reality and its connection with Eden and other such Paradises of the universal traditions. Even the reality Flood — who most scientists derided as ridiculous and impossible up to a few years ago — is presently being seriously considered now that I pointed out its identity with the cataclysmic end of the last Pleistocene Ice Age and the exact coincidence of its date with the one of 11,600 BP [Before Present] stated by Plato in his famous dialogues on Atlantis. The readers who pause to ponder the matter over by themselves instead of merely listening to the often specious arguments presented by other researchers will no doubt conclude that no other location than the South China Sea and Sundaland fit Plato’s description: a sunken continent; a tropical location; elephants, horses, pineapples, coconuts and bananas; an abundance of metals and gemstones of all sorts; majestic mountain ranges; an immense plain now sunken; advanced agricultural and hydraulic engineering techniques; an extensive network of canals used for both irrigation and navigation; two or three crops per year; monsoonal rains; an incredibly large population for the early epoch; volcanisms and earthquakes; navigational expertise, etc.. Above all, one should keep in mind the antiquity of Man’s existence in the region and the fact that Agriculture and Civilization very probably originated there, as is fast becoming evident. Of course, the reader may reach different conclusions than ours on certain specific matters. But we are confident that these will not change the overall picture that we are arguing here. However, we will be delighted to discuss these with the reader via our contact page, and will eventually post both the question and and our answer in this page, giving due credit to the inquirer. We also thank in advance the readers and critics kind enough to devote their attention to our work and, particularly, those who take the trouble to point out its errors to us or to our editor. In such a schematic presentation as the present one, we had to make the decisions whether the specific issue in question was factual, doubtful or unsupported by the evidence. In the Checklist we mark the positively supported items with a tick ( ), the doubtful ones with a question mark ( ) and the negative or unsupported ones with an x ( ). In the present work we also briefly comment on the several issues (a total of 32) that we analyze in our Checklist. Due to problems of space, this discussion is reduced to the barest minimum, and the reader desirous of more details is referred to our book on Atlantis or to our other papers and essays on the matter. As the reader can see for himself in the Checklist, only the East Indies  that is, India and Indonesia  fit the data to perfection. We did not include here locations such as the Indus Valley and South India, as they were not yet cogitated when we wrote the document. In fact, these Indian locations were secondary sites and colonies of Atlantis proper, the true cradle of the majestic Indian civilization. When Atlantis went under, its people was forced out, and moved to India and elsewhere where they proceed to rebuilt their Paradise Lost. Plato was very specific on the fact that Atlantis was located in the Atlantic Ocean. Indeed, this ocean took this name because it was deemed the “Ocean of the Atlanteans”, as Plato himself declares. Hence, Mediterranean locations such as Troy, Crete (Thera), Carthage, the Bosporus, etc., automatically disqualify as possible sites of Atlantis. However, one should carefully recall that what the ancients called by the name of Atlantic Ocean, or others such as Outer Ocean, Kronius Oceanus, Mare Magnum, Mare Oceanum, etc., was not the same one we nowadays address by that name. As we discuss in detail elsewhere [LINK TO SCIENTIFIC EVIDENCE], the Atlantic Ocean (or simply “Ocean”) of the ancients of the times of Plato, Herodotus, Aristotle and others was the whole of the earth encircling ocean. In particular, this name applied to the Indian Ocean, as can be seen in world maps such as the map of Eratosthenes and the map of Strabo. Erastosthenes actually divided the Atlantic Ocean into two moieties, the oriental and the occidental. And Atlantis was of course located in the Mare Atlanticum Orientale, the oriental half which we now name Indian Ocean. Even more correctly, Atlantis was the divide of the Indian and the Pacific Ocean, as shown in Fig. 1 further below [LINK]. Such is the reason why Paradise — which is to say, Atlantis — is often said to be an “island located in the middle of the seas”. Further below (itens 8 ad 9), we will see teh reason why Atlantis is called an “island”. This difference in nomenclature is essential, for it ties with the root of the problem of Atlantis, and explains why all researchers so far have failed to find the true site of Atlantis. We present elsewhere maps which explicitly show the Circular Outer Ocean named the Atlanticus Oceanus. The ancients figured the world that is, the lands they knew of (Eurasia and Africa), the so-called Old World or Oikumene as a roughly circular plate surrounded all around by the Ocean (“Atlantic”). Outside this Circular Ocean, “containing” it, so to speak, was the true “Continent”, the Americas, which encircled it all around and which Plato refers as the Peirata Ges. It was in this Outer Continent that the ancients placed Eden and other such legendary Paradises which they remotely connected with Atlantis. Such is the case, for instance, of the map of Cosmas Indicopleustes, which represents Paradise (Eden) in this way. As a matter of fact, the very word “Ocean” derives from the Sanskrit ashayana meaning “encircling all around”. Hence, in the same way that the Mediterranean regions are automatically discredited as possible sites for Atlantis for they neither lie in the Atlantic Ocean nor outside the Pillars of Hercules regions located in the Indian Ocean and the Pacific Ocean must be included, for they indeed satisfy these two prerequisites, since these oceans were formerly called “Atlantic”. Avienus basing himself on very ancient Phoenician sources placed the Hesperides and the island of Geryon, Erytheia, “in the Ocean of the Atlanteans”. Now, from Avienus’ and other detailed descriptions, Erytheia lay in the Orient, in the Erythraean (or Indian Ocean), to which it gave its name. So, we see that the name of “Atlantic Ocean” or “Ocean of the Atlanteans” originally applied to the Indian Ocean. This name was later transferred, first to both oceans and then confined to the present Atlantic Ocean. We conclude, hence, that Atlantis must be sought first of all in the Indian and the Pacific Oceans, and only secondarily in what we presently call “Atlantic Ocean”, as this name was unduly applied to it by the Greeks. In fact, the name of “Atlantic” applied to the western ocean resulted from the mistaken notion espoused by the ancients that it connected directly with the Pacific Ocean and the East Indies, which they well knew to be the site of Paradise and the East Indies, its true location. Christopher Columbus, Amerigo Vespucci and many other such explorers shared this belief, and firmly thought that they could reach the East Indies and its seas by sailing towards the west long enough. In other words, they aimed to reach the Far East via the Far West, a real possibility, given earth’s sphericity, a fact well known of the best informed explorers. One of the most fascinating features of Plato’s Atlantis was the vast network of canals used for the double purpose of irrigating its extensive agricultural plains and for the fluvial transportation of their produce. The site of the capital of the Atlantean empire was crossed and surrounded by these canals, forming a figure known as “Celtic Cross” or “Crossed Circle”, thus . This symbol is often confused with that of the Earth or even of the Sun. But it indeed originally applied, as in ancient Egypt, to the land of Paradise (To-wer). In fact, the symbol represents Paradise (Eden, etc.) with its Four Rivers flowing into the Four Cardinal Directions, just as described in the Bible. But this symbolism was in fact universal, as can be seen in our page on The Whirling Mountain. [LINK]. This network of canals also contained dams and sluice-gates to control the flow of the rivers. It was a marvel of hydraulic engineering, the likes of which are only attested in the ancient Far East and, to a lesser scale, in Incan America. Moreover, Plato specifically states that Atlantis was a great naval power and that its many ships actively traded with the most distant nations of the overseas. Hence, it is idle to suppose that powers of limited naval abilities such as the Mayan empire or the Celtiberian nations of that epoch or, even more, the Canaries and Northwest Africa could ever have been the true site of Atlantis. The Incas of Peru had a great naval ability, and there is ample evidence  confirmed by Thor Heyerdahl in his Kon Tiki expedition  that they made routine contacts with the Far East via the Pacific Ocean. The Incas of Peru also maintained a regular commercial contact with the Mexican empires. But their empire was located far up in the mighty Andes, and did not include good seaports nor did the Incas base their economy on naval commerce. Water is scarce in their region of the world, in contrast to what Plato affirms of Atlantis. On this item, we have qualified nations such as Troy, Celtiberia, Tartessos, as well as those of the African and European Northwest, for they are, at least mythically, very much connected with navigation. However, they all present hardly any traces of the extensive network of canals described by Plato, or any solid evidence of their early maritime ability. Incan Peru also affords no concrete evidence of extensive seaports, though we recognize its maritime skill. Perhaps these ports and canals were submerged in the cataclysm, though any confirmatory evidence of this possibility is definitely lacking. Crete was undoubtedly a maritime power, and so were the Scandinavian nations with their world roving Vikings. The two Indies (India and Indonesia) are acknowledged for their intensive trade with the ancient Middle East and the Far East, and possibly even the Americas. The African Northwest was settled by the Phoenicians, who had colonies in Tartessos, Carthage and Cadiz (Gadeira). However, it is difficult to establish that such colonies indeed date from Atlantean times, as the archaeological searches point to post-Bronze Age settlements only. Indeed, these are so small as to suggest that they were mere outposts of the Phoenicians, used for the re-supplying of their ships during their frequent travels to the Indies, with which they maintained a regular commerce from remotest antiquity. On Antarctica and on some possible sunken Atlantic island or continent we have no clear-cut, scientifically acceptable evidence, and the matter awaits confirmation by the experts. Their pronouncements up to now have unanimously affirmed that both notions are scientifically preposterous, a conclusion that should not be taken lightly, as these guys are no fools. Pole Shift is both a geological and a physical impossibility, as it violates Angular Momentum Conservation, etc.. Moreover, Antarctica has been under ice for about a million years and more. Forget Antarctica, and forget Pole Shift, much as its former champions are fast doing. As concerns the Atlantic seafloor, it has been scrutinized to the decameter scale by both oceanographic ships and spy subs and satellites, which never found any evidence whatsoever of sunken islands or, let alone, sunken continents. The important thing to keep in mind is that the main feature of Atlantis was its naval prowess and the impressive network of canals and sluices for both navigational purposes, as well as for agricultural irrigation. Such ancient wonders of hydraulic engineering are only find in the Far East in places such as Angkor, and, perhaps, in the Amazonian extensions of the Incan empire, as some recent discoveries in the region apparently indicate. Plato’s text is somewhat confusing on the actual size of Atlantis. And this confusion was intentional, as the true location of Atlantis was a carefully kept secret. Indeed it should be understood that Plato speaks of two Atlantises besides the third one, the capital city, the tiny island which also bore that name. Plato spoke both of the true Atlantis and of the “skeletal” realm he calls by the name of “Primeval Greece”. By such “Greeks”  the enemies and vanquishers of Atlantis  Plato indeed means the Aryans and their long lost Aryanavarta (“Country of the Aryans”) that is indeed the sunken realm of Atlantis. Actually, the “skeleton” of this primordial Atlantis now forms the Indonesian archipelago, whose islands are the volcanic peaks that remained above the water line when the immense expanse of the Elysian Plains — the mythical name of Atlantis — sunk away under the sea. These islands were then reduced to the Realm of the Dead known to the Greeks as the Islands of the Blest (Makarioi Nesoi). But they formerly formed a vast continent, now mostly sunken under the South China Sea. This huge piece of land was, then, indeed “greater than Asia [Minor] and Libya [North Africa] put together”, precisely as Plato asserted of Atlantis [See Fig.1]. The second Atlantis of Plato and other mythographers is that part of India whose remains can now be observed in the Indus and the Ganges valleys. Both were the sites of magnificent civilizations such as those of Harappa and Mohenjo-Daro. Plato also speaks of the Atlantean capital  called Atlantis by him and Poseidonis by several Atlantologists. This royal capital  indeed reserved for the nobility, the priesthood and the royal guard  has often been confused with the whole of Atlantis by a few researchers. But is was only a small island, the sacred capital of the whole empire. We find, to be sure, several capitals that imitated  or attempted to imitate  the Atlantean capital. One such was the royal capital of the Incas, located in an islet of Lake Titicaca, in the neighborhood of Tiahuanaco (Bolivia). Another one was the island of Thera (Santorini), perhaps the sacred capital of Minoan Crete, as some Atlantologists will. Troy too was described by Homer as fitting this sacred paradigm, and was said to have been submerged by the Flood after its destruction by the Bronze Age “Greeks” of Homer’s Iliad. Schliemann’s “Troy” in Turkey hardly fits this standard description of atlantis’s capital or even of Homer’s Troy, as several experts such as M. I. Finley have concluded. So, it is hard to see how it could ever have been identified to either Plato’s or to Homer’s paradigm. The Aztecan capital in Mexico, Tenochtitlán, also followed an inland adaptation of the primordial model, with the Holy Mountain at the center (Mt. Atlas) replaced by a pyramid, and the crossing and encircling canals replaced by avenues and majestic gateways. This Sacred Geometry is amply attested in the Far East (Angkor, Borobudur, etc.). So, there can be little doubt that the model came to us from the Far East, where it is so popular. Cruder copies are also found in the Scandinavia and in Celtiberia, in monuments (cromlechs) such as Stonehenge and the likes of it. The universality of this tradition attests the reality of Atlantis as the prototype of the cities that follow the model of the “Celestial Jerusalem”, which also has precisely this shape, the one of the Crossed Circle which we comment further below. In India and Indonesia we find a profusion of entire cities and temple complexes such as Angkor Thom, Angkor Wat and Borobudur, which were based on the model of Atlantis’ capital either in full size or as smaller, scaled down replicas. As we discuss elsewhere [LINK], the Sacred Geometry of Atlantis’ capital city is itself a replica of the world, in an idealized form that dates from remotest antiquity. The four quadrants of the Cross of Atlantis represent the Four Corners of the World, that is, the Four Continents (Eurasia, Africa, America and Australia). Likewise, the Center represents the continent of Atlantis, sunken under the sea, and reduced to a tiny portion (Indonesia) of mere insular proportions. (See also next item, below). As we already said, this sacred shape also represents the Holy Mountain (Mt. Meru) seen from above with the Four Rivers of Paradise flowing down its slopes until they reach the Circular Ocean at the world’s rim. The essential feature of Atlantis was its Holy Mountain. This mountain, which we just commented, was placed at the center of the capital and was identified with Mt. Atlas himself in his role as “Pillar of the Sky”. As the legend goes, when this pillar collapsed, the sky fell down upon the world, destroying and asphyxiating it. In reality this is an allegory of the explosion of Mt. Atlas  indeed a volcanic peak  and of the cataclysm that caused the end of the Pleistocene Ice Age, as we argue in detail elsewhere. In other words, Atlantis’ capital city was a replica of the world itself, with the circular canal representing the world-encircling ocean, and the two crossing ones representing the Four Rivers of Paradise. The Holy Mountain that we find in essentially all religions and sacred traditions concerning Paradise is indeed Mt. Atlas, the archetype of them all. We encounter the Holy Mountain under names such as Mt. Meru in the Indies, Mt. Calvary (or Golgotha) in Christianity, Mt. Qâf (“Skull” = Calvary) in Islamism, Mt. Kailasa (idem) in Shivaism, Mt. Salvat (or Calvat = “Skull”) in Catharism, Mt. Olympus in Greece, etc.. all such derive directly from the Atlantean model, both in the New and the Old Worlds. In that context, please see our page on The Whirling Mountain of the Navajos [LINK]. Mt. Olympus, for instance, derives its name from the Greek Olmos Hippous, meaning “the Mountain of the Centaurs”. Moreover, the Centaurs (Khentarfos) derive their name and their myth from the Gandharvas of India, where Mt. Meru is called “the Mountain of the Gandharvas”. This fact shows the Indian origin of the myths of ancient Greece. Again, the Holy Mountain  this time directly connected with an Atlas figure (Ayar Cachi) turned to stone  is also found in Peru as the Huanacauri of the Incas. In fact, wherever we find the myth of the Holy Mountain of Paradise, we are able to trace it back to Mt. Meru and the East Indies, that is, to Atlantis. In symbolic form, the Holy Mountain is also represented as a pyramid or an obelisk, or similar structures. These include artifacts such as the pylons of Egyptian temples, the towers of the Babylonian ziggurats, the spires of the Gothic cathedrals and the Hindu gopuras and pyramidal temples. The pyramids  above all the step pyramids of Egypt (Zozer’s), of Mexico, of Peru and of the Far East (China, Japan)  are all replicas of Mt. Meru, which is also shaped as a four-sided pyramid in Hindu traditions. The pyramidal temples of India have all or most been destroyed by the Muslim invaders, who replaced them with mosques and palaces. But many have been reconstructed according to the former paradigm, that of the Holy Mountain. However, the best examples which survived are located outside Indian itself, for instance those of Angkor (Angkor Wat and Angkor Thom) and of Java (Baphuon, Borobudur) which replicate not only the Holy Mountain, but the sacred capital of Atlantis itself. As we already said, the Holy Mountain of Atlantis, Mt. Atlas, was a huge volcanic peak which exploded and collapsed, taking the sacred capital under, in its wake. So, this subsidence is another essential feature of Atlantis that cannot be forgotten when seeking for the site of Atlantis. To give a specific example, the archetypal Jerusalem was characterized by the central presence of Mt. Zion. This Holy Mountain is really the same as Mt. Sinai. Mt. Sinai is, in the Book of Genesis, described as a terrifying volcano whose “pillar of fire and smoke” actually guided the Israelites in their exodus from the site of their former destroyed paradise. This paradise  which lay in Primordial Egypt (or Eden), rather than in the country now so named  is indeed Indonesia, the original homeland of the Jews. Hence, it is a waste of time to seek Atlantis — and, for that matter, Eden, the mystical “Egypt” — outside the regions tormented by volcanism and earthquakes. Such regions are indeed quite few in the world. First there is Thera, the favorite of the more scientifically minded Atlantologists, precisely because of this feature. The realms of the Incas and the Mayas is also frequently castigated by this type of event, but apparently never in the scale preconized by Plato and others. The reason for that is that their volcanoes are not of an explosive nature, in contrast with those of the Far East, whose lava is rhyolitic, and hence highly viscous. The same absence of explosive volcanism seems to be true of Scandinavia and of Greenland and Antarctica. No volcanoes exist in Schliemann’s Troy, in Tartessos (Spain) and in Celtiberia (France and British Isles). India too has no volcanoes, but is indeed frequently victimized by devastating earthquakes. So, we are left, on this account, with the Indies and with Thera as probable locations, and with the other volcanic regions of the globe as rather unlikely candidates. These non-volcanic regions can perhaps be safely excluded from our list. Indonesia is the most volcanically active region in the whole world. In fact, Indonesia is formed by thousands of volcanic peaks now turned into islands, after the submergence of its lowlands. And the region is called by the forceful name of “Belt of Fire”. This ferocity is attested within historical times by cataclysms such as the explosive eruption of the volcanoes Krakatoa and Tambora, and of several others in the region of Indonesia. Sunda Strait  the site of the ferocious Krakatoa volcano  is indeed the giant volcanic caldera of this semi-submarine volcano. Lake Toba, in Sumatra, is deemed earth’s largest volcanic caldera, being fully 100 kilometers across. Another immense volcanic caldera of the region, having a comparable size, is the one of Lake Taupo, in New Zealand. All these giant calderas result from huge volcanic explosions which occurred in relatively recent geological times, some 75 kya (kiloyears ago). So, the geologic record of the region indicates the reality of incomparably large disasters and the possibility of worldwide cataclysms of fire and water of the nature described by Plato and others in relation to paradisial Atlantis. And it has now been realized that supervolcanoes such as the ones just mentioned are quite capable of triggering Ice Ages, and have in fact done so many times in the past with their giant explosive eruptions. The tektites that line a substantial portion of the oceanic beds of the region (Indian and Pacific Oceans) with an immense strewn field are a further evidence of still larger cataclysms there, in the farther past. Tektites are believed to result from cometary or asteroidal impacts. And the one in question here occurred at about 780 kya, that is, well within the times of Man in the region. Tektites are glass beads, sometimes of a large size, resulting from such huge impacts, which cause the melting and the ejection of the silicic rocks that underlie earth’s crust. The ones of the region — found from Australia to Tibet, and from Madagascar to the Philippines — are called Indochinites, and may attain several kilos. The tropical, pleasant climate of Atlantis is one of the central features of Plato’s Atlantis. The fact that the great philosopher was not idly inventing, but knew his marbles, is patent everywhere in his account. To start with, there is the issue of the two crops a year that he specifically mentions. The Greeks of Alexander were marveled by this fact when they witnessed it in the Indus Valley. Two crops a year  generally of rice, wheat or barley  occur not only in the Indies, but almost everywhere in the Far East. They are the result of a felicitous combination of events that is unique of this vast region of the world. In the summer, the meltwaters of the Himalayas and other mountain glaciers of the region provide the riverine floods that are used to irrigate the crops. This is done by means of an artfully arranged network of dams, canals and terraces quite like the ones described by Plato as existing in Atlantis. Such a feature is particularly observable in the Indus and the Ganges valleys, not to mention Indonesia, China and neighboring regions. It is only in Peru and the rest of the Incan empire that we find something comparable in technology, even though of a far lesser scale. The second yearly crop  and sometimes even a third one  is afforded by the monsoon rains that fall abundantly in the region during the winter months. The monsoon winds, loaded with moisture and coolness, are also very useful for navigation. Again, they are a very special feature of Paradise in texts such as those of Homer, of Hesiod and even of Josephus, as well as of several other Classical authors. In fact, these winds are also the cool breeze of the afternoon which God enjoyed in Paradise, in the company of Adam. The monsoon winds are mythically the same as the legendary Boreas that blew from Hyperborea, the legendary site of Apollo’s Island of the Sun. This island is also called by names such as Delos, Hypereia, Erythia, Phoenicia, Ortygia, Chemmis, etc.. In reality, all such islands were allegories of the paradisial island of Taprobane (Sumatra), which Pliny and others equated with the otherworld. Many other facts mentioned in the Critias confirm the tropical nature of Plato’s Atlantis: the rain forests, the palm-trees, coconuts, rose woods, incense trees, pineapples, coconuts, bananas, etc.. Of course, there is also Plato’s mention of “this felicitous island under the sun”. This expression means, in ancient parlance, the same as the modern one of “equatorial”, that is, “lying directly under the path of the sun in the skies”. We must recall that Plato’s Atlantis flourished during the last glaciation, an epoch when global temperatures were 5° to 10° C below the present. At that time, most temperate and polar regions were gelid, and entirely covered by mile thick glaciers. So, great civilizations  necessarily based on agriculture and cattle herding  could only exist in tropical and equatorial regions such as those of South India, Southeast Asia, Indonesia, Central and South America, and North and Central Africa and the Near East. The temperate regions of the earth had to await the end of the Ice Age in order to start developing agriculture and, hence, civilization. The advocates of icy regions such as the North Sea, Antarctica, the Arctic region, and such, are forced into appealing to farfetched explanations such as Pole Shift and instant Continental Drift. But these events are wholly outside the realm of science, as they contradict all that is known of Geology. Hence, they should not be accepted unless some factual evidence develops to support their farfetched claim. This evidence  and the theory that would back it up  has also to explain the observed fact that glaciers such as those of the Himalayas, of Greenland, of Antarctica, etc., have been on place for several millions of years. Likewise, equatorial forests such as those of the Brazilian Amazonia, Africa and Indonesia have existed for millions of years, gradually developing their enormous variety of species, in a delicate ecological equilibrium that is very easily disrupted by even a slight interference. If the Pole had indeed shifted in recent geological times, these forests would have been carried into the temperate or the polar regions of the world, alongside with Atlantis. The fact that these forests still exist, as they have existed for millions of years is proof sufficient that Pole Shifts never occurred in times within the Atlantean horizon. So, scientifically minded Atlantologists would better forget about Pole Shift and Arctic or Antarctic locations for Atlantis, if they indeed want to be taken seriously by the academic community. It is unscientific to bend facts in order to fit farfetched theories, instead of bending the theories in order to fit facts. By the way, there is a frequent confusion among several of the proponents of these obstreperous ideas. The earth has both a Magnetic Pole and a Celestial Pole. One is determined by its magnetism, and changes rather often over geologic time. But its shifting causes only very minor effects on life and over the earth’s crust. The other one is dictated by earth’s spinning in relation to the stars, and is essentially invariant due to the Conservation of Earth’s Angular Momentum. In other words, the earth behaves as a sort of giant gyroscope or spinning top, and tends to keep fixed the direction of its axis of rotation relative to the stars, even if disturbed by considerable external influences such as changing icecaps. Only a major interference  say, a giant meteoritic collision of planetoidal size  would cause a major shift of earth’s Celestial Pole. There are no traces whatsoever that this has happened in the last million years, the times of Homo sapiens, as we just said. Moreover, the detailed observations of rock magnetism, of palynological analyses (pollen studies), of sedimentology (marine and lacustrine deposits) and of varve analysis (lake level yearly variations) leave no doubt at all that Pole Shift is indeed an illusion of frustrated amateur Atlantologists that have despaired of ever finding the lost continent of Atlantis anywhere in this real world of ours. Agriculture and Animal Domestication  as contrasted with hunting and gathering  are the two primordial requisites for the development of city life, and large, stable, civilized societies. Such large communities were rarity in the ancient Old World outside Egypt, Mesopotamia, India and the Far East. During the Pleistocene epoch and the Paleolithic, they probably did not exist outside Atlantis proper. The population of Atlantis can be estimated from the facts disclosed by Plato. First of all, we have the great extension of the country, its fabled fertility, its two yearly crops and the immense network of irrigated culture grounds. These were, says Plato, about 600 x 400 km² . If we take the typical productivity of Asian agriculture (rice), we get an yearly crop for the region of something like 10 to 20 million tons of rice, plus a corresponding plurality of other agricultural and pastoral products, even letting most of the land remain fallow. We can also estimate the population of Atlantis by the data given by Plato concerning Atlantis’ armed forces. Plato gives these numbers in detail, which total 1,160,000 soldiers. If we consider that one half of the population was female and that about a half of the males were children or elders and that, furthermore, in all probability, no more than 1/4 or so of the adult male population was actually conscripted, we come up with a population of some 20 million people, in fair agreement with the number estimated above. This number is huge according to the norm of the prehistoric Old World, particularly when we consider that Atlantis flourished at an epoch that predated the Neolithic Age. Hence, just as Plato states, no nation of the epoch could oppose the might of Atlantis. Such is particularly the case of Athens, which could deploy no more than 30 to 50 thousand men even at the peak of its power, in the times of Pericles. But we must excuse the understandable patriotism of Plato who was, above all, writing for a Greek audience. We thus conclude that the huge population of Atlantis uniquely points to the Far East  the only place where such large armies could be mustered in remotest antiquity  for the reasons pointed out above. In fact, the ancient Greeks, like other nations, marveled at the giant size of the armies of the East, and particularly that of Porus, the king of one of India’s realms supposedly conquered by Alexander the Great. One must also realize that Atlantis flourished during the Paleolithic and that its demise coincided with the rise of the Neolithic and the introduction of agriculture. It is fast becoming evident that Agriculture was invented in the Far East over ten thousand years ago, with rice — attested by 12,000 years BP in China — being one of the first cultures known. The Neolithic Revolution started all of a sudden, some 10,000 years BP on a worldwide scale, after almost a million years of Paleolithic standstill. It is tempting to conclude that the Neolithic Revolution was in fact fostered by the Atlanteans when they were forced out of their blisfull cocoon by the cataclysm. There they lived in an ecological equilibrium, without expanding or encroaching on their less advanced neighbors or even attempting to civilize them. In other words, it seems that the Atlanteans believed that “small is beautiful” and that they practiced a policy of “live and let live”, just as we are presently learning to do. In other words, it seems that the Atlanteans were in fact the Civilizing Heroes — or “angels” or “gods” — of which all nations in the world speak: Viracocha, Sumé, Quetzalcoatl, Kukulkán, Tubal Cain, Erichthonius, Cadmus, Thoth, Aeneas, the Oannés, and so on. The city of Atlantis  the holy capital and royal citadel of the vast empire of the same name  had a Sacred Geometry that became the paradigm and model for all other subsequent capitals. The geometry of the city is described in detail by Plato as well as by other mythographers, symbolists and atlantologists. Basically, it follows the model of the so-called “Celtic Cross” or “Atlantean Cross”, a circle with crossing diameters which we already discussed. This sacred glyph is often equated with the Sun or the Earth, which it came to symbolize in Astrology. But it is indeed the emblem of Atlantis which some Atlantologists such as Otto Muck call by the name of “Cross of Atlantis”. In Egypt, as we said above, this symbol was the hieroglyph of Paradise (Punt), as well as of the Holy Eucharist (the Sacred Bread). This idea of “Primordial Sacrifice” associated with the sacred bread is invariably connected with Atlantis and its doom. At the center of Atlantis’ capital lay the Holy Mountain (Mt. Atlas), which is no other than the sacred mountain of the Hindus (Mt. Meru). Mt. Meru is pyramidal-shaped, and is indeed the archetype of all pyramids and pyramidal sacred mountains everywhere. These pyramids are often stepped, a geometry that parallels the one of the mountains of Atlantis (the Indies), which were stepped with terraces intended for agricultural purposes, as we already discussed further above. These agricultural terraces are even today quite common in the whole Far East. They preserve the water and the soil, allowing agriculture in the steep mountain slopes which are typical of volcanic regions such as Southeast Asia and Indonesia. This sophisticate agricultural technology passed to the Americas (Incan Peru), attesting both its enormous antiquity and America’s prehistoric contacts with the Far East in prehistoric times. The fourfold division of the Cosmos characterized by the pyramidal shape dates from Atlantean times. It is found just about everywhere in both the Old and the New Worlds, always in precisely the same context. Hence, the pyramid symbolism also necessarily predates the end of the Pleistocene, when the Old World became effectively separated from the Old according to the standard doctrines of academics on the Beringian Passage and on the rise of Amerindian civilizations. Except for the Atlantean hypothesis, no other scientific explanation is able to account for the commonality of pyramid symbolism and of terraced agriculture in both the Americas and the Far East. The usual hypotheses of “sheer coincidence” will not do here, as the odds are impossibly small. We also find this fourfold symbolism in the Hindu four castes, as well as in their pyramidal-shaped temples and, particularly, in their sacred mandalas portraying Mt. Meru, their Mountain of Paradise. Indeed, mandalas such as those of the Pure Land (Shveta Dvipa) or Wheel-of-Time (Kalachakra) type portray Paradise as seen from above. At the center of the circle that represents the circular canal surrounding Atlantis, we have Mt. Meru represented as a stepped, square pyramid. Some such mandalas are shown in our page on the Whirling Mountain of the Navajos . Returning to the mandalic symbolism of Mt. Meru. Next we have the triple wall with its four doors, one at each of the Four Cardinal Directions. Around it all, we have the circular River Oceanus. This circular river is often represented as the Ouroboros, the serpent that devours its own tail. This mandala is often represented as a fiery lotus (the Golden Lotus), a shape that allegorizes the essence of the sacred syllable, OM MANI PADME HUM. That mantra (prayer) subsumes the Conflagration that destroyed Atlantis, the a cataclysm of Fire and Water known as the Flood, as we explain in detail elsewhere. So, the Sacred Geometry of Atlantis is indeed that of the mandalas and yantras which we find all over the Far East, and particularly in the East Indies. Moreover, this mandalic symbolism — expressed in exactly the same way and using the very same technique of sandpainting and of side-projection perspective — is also found in the Americas, for instance among the Navajos and the Zuñi Indians, as we explain in the link just given [LINK AGAIN]. Again, to imagine that these coincidences are due to anything but diffusion utterly defies comonsense. Even more exactly, the Hindu-Buddhic mandalas as well as their Amerindian counterparts represent Atlantis as the true site of Paradise. This representation includes Mt. Atlas as the Holy Mountain of Paradise. This mountain is often explicitly figured as a volcano, the fiery source whose explosion destroyed Paradise, which the Hindus call by names such as Atala and Patala, closely reminiscent of the one of Atlantis. Moreover, the Indian mandalas in question also represent the Triple Wall of Atlantis (trimekhala). This Triple wall corresponds to the ringing ocean (or River Oceanus) around the sacred city, also represented by a triple circular moat. Again, the four gates (toranas) represent the four maritime straits which allowed the accessing of Atlantis from the four corners of the World. The fact that we encounter the legend of Atlantis described so faithfully in Amerindian sandpaintings and in Far Eastern mandalas that form the base of Hinduism and Buddhism proves the extreme importance of the Atlantean myth in both America and the Far Orient. The fact is that, on hindsight, this mandalic figuration of Atlantis and its sacred geometry is found just about everywhere. As we just saw, it is schematically figured in the Celtic Cross as well as in monuments such as Stonehenge, which in fact represent the same thing. So does the so-called Celtic Triple Wall, a schematic mandalic symbolism likewise found just about everywhere in the ancient world. In Australia too, and in Melanesia, mandalas essentially identical to those of the Hindu-Buddhists and the Amerindians  are also found in connection with symbolic representations of Paradise and its Holy Mountain. So are, by the way, the Egyptian pyramids and the Mesopotamian ziggurats and the pagodas and stupas of the Far East. In a very schematic way, one could say that the stone circles (cromlechs) and its aliases such as circular lakes or ponds, dolmens, etc., represent the yoni, and that the standing stones, menhirs, pyramids, obelisks and so on represent the linga. These two symbols are the most sacred objects in India, and roughly correspond to the two triangles of the Mogen David, the two beams of the Cross, the Lunar Crescent and Pole Star, and so on. In fact, the two objects both represent the Holy Mountain, first as a mountain peak, then in the collapsed state, after the “castration” effected by the giant explosion that turned the mountain into a gaping volcanic caldera, that of the Krakatoa volcano, in Indonesia, the homeland of volcanoes. An identical motif is also found in Egypt, where the pyramidal complexes also represented the pyramid-shaped Holy Mountain. A famous blue faience bowl found in Thebes and dated at the New Kingdom shows the pyramidal Holy Mountain, in plan view, as an island surrounded all around by an encircling canal. At the four corners, the Four Cardinal Directions, are the four Trees of Life shown as giant lotus plants. The picture closely resembles the similar mandalic designs of the Mayas and Aztecs, which often embody the four Trees of Life. It also evokes the Hindu mandalas representing Mt. Meru, likewise seen from above, with its four subsidiary peaks, each with its own Tree of Life. It is extremely unlikely that such identical designs and sophisticate paradisial symbolisms developed independently in all these distant, isolated regions of the world. And their ancient presence on the two worlds shows that they date from Atlantean times, as we just argued. In more disguised form  but symbolizing precisely the same ideas and the same sacred geometry of Atlantis  we also have similar mandalic shapes representing the Celestial Jerusalem as the Center of the World. The Holy Mountain is here represented by Mt. Calvary (= Mt. Atlas or Meru) and the Cross (= Golden Lotus = Conflagration). Indeed, most capital cities such as Washington DC, Belo Horizonte, Buenos Aires, Lhassa, Harappa, Mecca, and so on, are built according to the Sacred Geometry of Atlantis, the actual source of all such archetypal Paradises. These cities all have, as their central feature, the obelisk at the middle of a circular plaza, from which depart the four main avenues along the Four Cardinal Directions. Anyone familiar with the inherent meaning of Hindu-Buddhic mandalas representing Mt. Meru as the Holy Mountain of Paradise will have no difficulty in realizing the Indian origin of this universal symbolism. The very fact that it is both universal and extremely ancient proves, beyond reasonable doubt, that its worldwide diffusion can only have been carried out by the Atlanteans, in the dawn of times, before the cataclysmic end of the Pleistocene Era. How else? Since Atlantis was located in the Outer Ocean, it has to be sought outside the Pillars of Hercules. The two European pillars were called Calpe and Habila, in the Strait of Gibraltar. Actually, there were several Pillars of Hercules in antiquity created by the cunning Phoenicians or by the Greeks, in order to confuse the competitors seeking the secret route to Paradise. This secret route was indeed the one allowing the profitable commerce with the East Indies and its famous herbs and spices among which, we suspect, were also included hallucinogenic drugs such as cannabis, opium, datura and the holy mushroom. Thus, we find Pillars of Hercules  sometimes confused with those of Atlas, the Pillar of Heaven  not only in Gibraltar, but also in Tartessos (Spain), Gadis (modern Cádiz, in Spain), Gadir (Morocco), the Bosporus (Black Sea), the Bab-el-Mandeb (Arabia) and even as far as the Indus Delta (India) and the Strait of Sunda (Indonesia). In reality, it was the opening up of the true Pillars of Hercules in the Strait of Sunda that created the legend of the Hero (Hercules-Gadeiros) opening the Strait of Gibraltar as his most important deed, the rustling of Geryon’s cattle, his tenth labor. In reality this job was done by the giant explosion of the Krakatoa volcano, which was formerly Mt. Atlas, and lay between Java and Sumatra, which it separated by means of the Sunda Strait, its giant submarine caldera. When the Greeks moved out from their primeval homeland in the East Indies into their new one in the Mediterranean, they brought along their myths, which they transplanted to the local geographical features. Hence, they created a new pair of Pillars of Hercules (in Gibraltar), a new “Atlantic Ocean”, a new Garden of the Hesperides, a new set of Islands of the Blest, a new Mt. Olympus, and so on. And they also transferred the legend of the opening of the strait to Gibraltar, and the deed of Balarama (Bala, Baal) to the one of Hercules, his Greek counterpart. In fact, names such as Bosporus (Grk. bos-phoros), Oxford (“ox-ford”), Gadeira (gad-ira), and so on, which mean “cattle-fording place”, allude to Hercules’ crossing with the cattle he stole from Geryon. However, as we just said, the archetypal Pillars of Hercules really lay in Indonesia, the true site of Atlantis and, in consequence, of Eden. There is where the whole story of humanity indeed started. But, whether one accepts this discovery of ours or not, this matters very little, for Plato is very specific on his disclosure that Atlantis in fact lay in the Outer Ocean and “beyond the Pillars of Hercules”. Actually, the great philosopher uses the word hyper which is a Greek adverb meaning “beyond”, with a sense of “transposing”, “crossing”, “passing beyond”, “going further”, “yonder”, “past”, “over”, etc.. So, the proposals that place Atlantis inside the Mediterranean Basin, though attractive and scientifically convincing, must be discarded as specious. Such is the case of Thera (Santorini, near Crete), of the Schott-el-Djerid (Libya), of the Bosporus (Black Sea), of the Kertch Strait (idem), of Troy (Hisarlik, in Turkey) and so on, all of which assume the existence obviously phony replicas of the Pillars of Hercules. Moreover, the words of Plato in fact mean something placed directly in front of the Pillars of Hercules rather than far away, as is the case of the Americas, or off the site as happens withtheCanary Islands or the Norht Sea, or even the British Shelf. The specifications of Plato further embody certain puns  so liked of the ancients when treating matters related to the secret of the Mysteries  which we now attempt to explain. To start with, the word hyper discussed above also has the sense of “placed above, as a substitute”. This is probably what Plato had in mind when he wrote that “the Atlanteans lived beyond the Pillars of Hercules” (hyper ten Heraklei Nyssai). We have precisely the same kind of pun in the Egyptian name of the country of Hau-nebut, the mysterious people of the shady “Islands of the Middle of the Great Green (Sea)”. These islands, which have been confused with Crete by many Egyptologists of merit, are indeed those of Indonesia, the primordial Paradise of the Egyptians (Punt). The name of Hau-nebut derives from a wordplay, in Sanskrit and Dravida, the primordial languages of the place, and means something like “the Islands (or Marshes) beyond the Pillars (of Hercules)”. In other words, these distant isles are precisely those of Atlantis, left behind when the great continent foundered long ago. This nebuluous country is also the one the Greeks called Cimmeria, the Germans called Nephelheim and the Hindus named Dumâdhi, all of which names mean something as “hazy” or “covered by smoke”. This exegesis might be considered farfetched, were it not for the fact that Plato makes another similar wordplay when he makes the priest of Sais affirm that Atlantis lay “in front of the straits which are by you called Pillars of Hercules”. By “you”, and not “by himself”, that is what the philosopher really means. What Plato is indeed hinting at is that the Pillars of Hercules in question are truly those of Indonesia, which he himslef would certainly call by that name. For, there are no lands or islands, sunken or not, “before Gibraltar” except the distant continent of North America or some puny islets which could never have sited Atlantis. No one so far, in modern times, has dared to identify America to Atlantis. “There was an island [or sunken continent = nesos] beyond the Pillars of Hercules… larger than Libya [North Africa] and Asia [Minor] put together. This island [of Atlantis] was the way to other islands [Oceania]; and from these you might pass to the opposite continent [the Americas], which encompasses the true Ocean”. Look at a good map of the world — or at the one shown in Fig. 1 further below in this page — and you will readily realize that Plato spoke truly, and that this region is the only one in the world that fits his words adequately at the epoch in question, the Pleistocene Ice Age. The “Pillars of Hercules” — the true, original ones — are the ones flanking Sunda Strait. The “island” or “continent” (nesos) just ahead of it is the now sunken land of the Sunda Shelf, alias Atlantis. The passage to the other islands that Plato mentions corresponds to what is now known as the Wallace Line. The Wallace Line is the effective maritime separation between Southeast Asia on one side, and Australia and connected lands on the other. During the Pleistocene Ice Age, this line formed a narrow, long strait which in fact allowed the crossing of ships from the Indian Ocean to the Pacific Ocean on the other side of the otherwise land-blocked region. And from there, you in fact met the many islands of Melanesia and Polynesia which allowed the safe crossing (with re-supplying, etc.) to the Americas, the “Outer Continent” (Peirata Ges) beyond. The agreement with Plato’s text is so perfect and so unique that it is tempting to say that nowhere else will you find another one like it. Two more points deserve being commented here. One is the meaning of the word nesos, usually undertood to mean “island”, and the other is the translation of the above quoted passage concerning the size of Atlantis being “larger than Libya and Asia put together”. By “Asia”, the ancient Greeks generally meant Asia Minor (Turkey or Anatolia). And by “Libya” they generally understood Africa, which they believed to end north of the equator, as shown in the map of Strabo linked further aboved (item 1). Some researchers who identify Atlantis with Crete propose that the above passage be interpreted as meaning “between Libya and Asia Minor”, which would place Atlantis more or less in the region of Crete. But this translation is impossible. What Plato writes: hê de nêsos hama Libuês ên kai Asias meizôn literally means: “and the island was bigger (meizôn) than Libya and Asia sumed (hama)”. Meizôn is the comparative of megas (“big”), and is never a preposition, as is the case of “between”. Moreover, Plato uses hama, which means “placedt together, added, juxtaposed”. How can that be reconciled with the idea of opposition implied by the extremes of something placed in between? It is obvious that this attempt is purely speculative, and is no more than an attempt to bend Plato’s words to intend mean something and say another. The second issue is even more telltale. As we explain in the next entry, the Greek word nesos (“island”) also applied, in antiquity, to coastal lowlands subjected to periodic or permanent flooding, and to overseas regions or those isolated by water or by deserts, etc.. As such, the word had precisely the same use as the Sanskrit dvipa and the Egyptian yu, meaning the same thing. In particular, the word dvipa applied to the sunken Paradises of Hindu tradition, the apparent archetypes of the one which Plato is writing on. In fact, Plato affirms that the story was translated from an unknown original tongue into Egyptian and that the priests who told it to him interpreted the meaning of the names used (Crit. 113a). So, it is possible that this unknown tongue was actually Sanskrit, and that the word translated as nesos by Solon was in fact dvipa, meaning both “island” and “continent” or, more exactly, “sunken land” or “peninsula”. No matter what, the Greek word nesos used by Plato also means “flooded land”, “sunken land”, “peninsula” exactly as does the Skt. dvipa. This usage is attested in the link just given and, for instance, in the name of the Peloponnesus (“Island of Pelops”), a peninsula, rather than really an island. The etymon of “sunken land” just mentioned is attested in several Greek papyri some of which are referenced in the link just provided. And it also means “alluvial land”, like the one of the Nile delta, as attested in Tab. Heracl. (1.38). Plato, as we just said, was a rhetor, a hierophant, a master at the use of words. As such, he often played at words, in order to stray the inquisitive profanes. So, when he used the word nesos, he was in fact speaking of two things, in a double entendre, that is, a wordplay or pun. The profanes thought that the philosopher was speaking of an island, in the usual way. The initiates, instead, understood that Plato was really speaking of a promontory or land partly sunken under the seas, with only an “skeleton” left behind. This “skeleton” was the mountainous lands of Taprobane, which he calls by precisely this name. Taprobane is the the Ultima Thule of the Roman traditions, the start of the “otherworld’ of which Pliny and others speak. This true Taprobane should not be mistaken with Sri Lanka, its replica to the south of India. The real Taprobane — the partly sunken land that the Dravidas called Kanya Kumari — was in fact composed of the Malay Peninsula and the islands of Sumatra and Java, their Indonesian extensions. These lands were indeed the “islands in the middle of the sea” of which the Bible and several such sacred traditions also speak. The true meaning of this cryptical name can now be understood. The Malay Peninsula and the islands of Java and Sumatra are really the divide between the Pacific and the Indian Ocean. As such, they are placed “in the middle of the sea” (or ocean) dividing it in two moieties, as can be seen in a map of the region or in Fig. 1 below. These islands are also the “Atlantic Islands” which the ancients identified with the ones of Atlantis and, more obscurely, also with the “Islands of the Blest”, the remains of Paradise Lost. We argue that matter in more detail in our page on The True History of Atlantis. Since the region of Atlantis, interposed between the two oceans effectively closed the passage to the Pacific Ocean, it was named the Ultima Thule, a name that means something as “last divide” or “last frontier” in Latin. As the map of Fig. 1 below clearly shows, the situation now corresponds to precisely what Plato states: a narrow strait, with the “island” of Atlantis just in front. This strait is the Lombok Strait (Selat Lombok), between the islands of Bali and Lombok, as can be seen in the map of the region just linked. This strait is flanked by two volcanoes on the sides, which are the true “Pillars of Hercules” of which Plato really speaks. These two volcanoes and this strait were later confused with the nearby Sunda Strait between Java and Sumatra and its volcanoes, the Krakatoa and the Toba volcanoes. But this only happened after the end of the last Pleistocene Ice Age, when Sunda Strait opened due to the enormous rise in sea level that then took place. 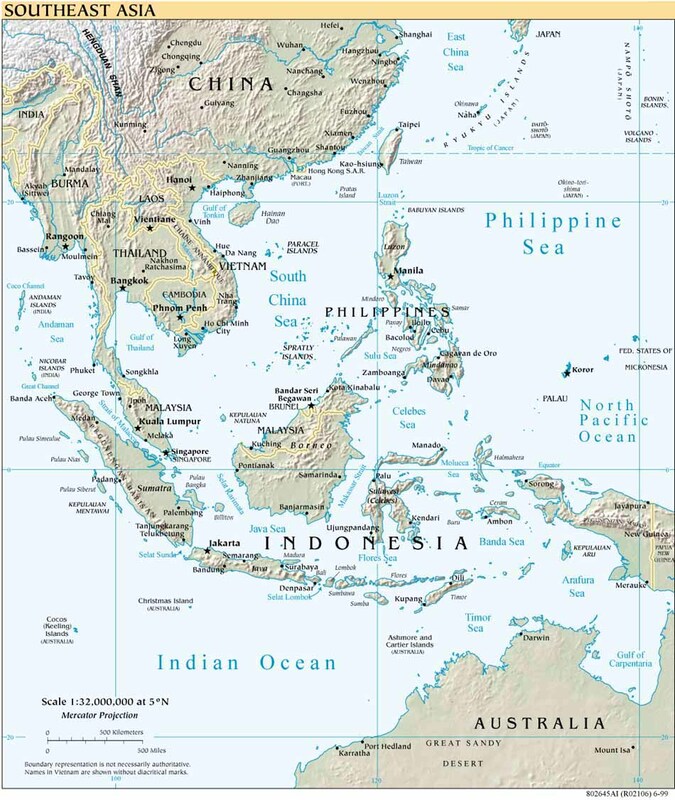 By navigating along the narrow channel that corresponds to the Wallace Line (see above), one was able to pass into the Celebes Sea, and then into the South China Sea, exiting in the Pacific Ocean, as can be seen in Fig. 1 below and, in more detail, in our map here. Of course, the narrow passage was a closely guarded secret, known to very few initiates such as Plato himself. The two “Pillars of Hercules” — or rather, those of Atlas, the twin and counterpart of Hercules — were originally indeed the twin volcanoes of Bali and Lombok, so famous in the local traditions. These volcanoes closely hug the Lombok Strait, the entrance to the narrow channel formed by Wallace’s Line. Bali’s volcano is called Mt. Agung, which the Balinese equate with the very “navel of the universe”, the Holy Mountain around which the entire universe revolves and which serves as the link of earth with both heaven and hell. Mt. Agung is also deemed the abode of the Supreme God (Shiva), who is no other than Atlas himself. Mt. Agung is fully 3,142 meters high, and forms an impressive view together with its twin, the volcano of Lombok. Lombok’s volcano is Mt. Rinjani. It is now dormant, but may re-awake anytime soon, as volcanologists now realize. In contrast to Mt. Agung, Mt. Rinjani is a giant caldera, as can be seen in the NASA photo just linked. Despite this collapse, Mt. Rinjani is still impressively high, reaching an altitude of 3,726 meters. There can be little doubt, now that they have been identified, that these two majestic volcanoes in fact correspond to the primordial Pillars of Hercules and Atlas. The true pillars are placed in the middle of the earth, serving as the Pillars of Heaven, which they stay up. This identification is further surported by the fact that the two Pillars of Hercules, Calpe and Habila are, by Avienus, equated one to a lofty pillar, the other one to giant cup or caldera, precisely as is the case here. We argue this issue in detail elsewhere, and the intersted reader is directed to this discussion of ours. It is hard to imagine a better concordance of the local geography of the region of Indonesia and Plato’s detailed report on Atlantis. Consider now the geographical situation illustrated in Fig 1 below, which is the one which prevailed during the Ice Age, the times of Atlantis. The access to Atlantis’ interior was gained via the Lombok Strait (Selat Lombok) between Bali and Lombok. One then followed the narrow, long channel corresponding to Wallace Line. This strait was essentially the only open passage open to the Pacific, as shown in Fig. 1. And Wallace’s Line is formed by the boundary of the two Continental Plates of the region, the Eurasian Plate and the Indian-Australian Plate, as can be seen in the map here. Just in front of the strait and the “Pillars of Hercules” (or Atlas, rather) we had the “island of Atlantis”, that is, its sunken land, the Sunda Shelf. Following this channel, one could pass into the Celebes Sea, and then into the South China Sea, to finally emerge in the open Pacific Ocean. There we had the many islands of Melanesia and Polynesia, with allowed the safe crossing to the Outer Continent beyond, the Americas which Plato calls the Peirata Ges (“Environing Land”). The only issue still missing is the “impassable barrier of mud”, which effectively closed this passage after the Atlantean cataclysm, the one which we identified, first of all, with the drastic end of the Pleistocene Ice Age some 11,600 years ago, the precise date stipulated by Plato. And this feature we discuss below, in the next section, where it belongs. Before we do it, however, let us call the reader’s attention to yet important fact. If we are right in our interpretation of the word nesos as being the equivalent of the Sanskrit dvipa, we must seek for a sunken land, rather than an island or even a continent such as America which oviously never sunk at all. Cuba, where some researchers are currently doing some remarkable finds, seems to have partly sunk. But the depth, the size and the possible dates rule out this place as a possible location of Atlantis. Likewise ruled out are Crete and Santorini, and even Hisarlik (Troy) itself, where the same difficulties are met, with the aggravation of not being placed “beyond (and before) the Pillars of Hercules” in any believable way. Finally, placements such as the Canary Islands, the British Shelf or the North Sea locations can hardly be said to be located “in front of the Pillars of Hercules”, no matter how hard you argue the fact. And the reader should keep in mind the fact that no amount of arguing, however well it is done, will ever change reality and the evidence of facts. So, one should carefully take care (buyer, beware!) against those guys who attempt to bend facts in order to make them fit their petty theories, much as Procustus did with people, in order to make them fit his iron bed. As the Bible says, “test out all things, keep the good ones”. Another subject of extreme importance in the texts of Plato on Atlantis is the matter of the “innavigable seas”. The philosopher refers to these innavigable seas twice, one in the Critias (108e) and the other in the Timaeus (25d). In the Timaeus, Plato mentions that when Atlantis sunk underseas, “the sea in the region became impassable and impenetrable because of the shoals of mud in it, caused by the subsidence of the island [of Atlantis]”. In the Critias Plato repeats the same story of the “impassable barrier of mud”, again adding the detail that the island that sunk was indeed “greater than Libya and Asia put together”. The Greeks had no name for “continent” in the modern sense. So, they used the word “island” for it, in the sense of an extension of land “isolated” by the seas. This usage has caused an enduring difficulty for Atlantologists unfamiliar with this fact. Such is the reason why they believe that Atlantis was an island rather than a continent or a large piece of land of continental size isolated by the seas. In fact, Plato himself specifically uses, in the Critias (25a), the term nesos (“island”) in contrast to the “true continent” (peirata ges) to describe what is obviously America, implying that the other continents are mere “islands”. In antiquity, the term “island” applied to any region isolated by the sea or by rivers and deserts, for instance, Egypt, Mesopotamia, India, etc.. And such was particularly the case of coastal lowlands subject to submersion, as we argued in the previous section. But let us return to the matter of the “innavigable seas”. The Atlantic Ocean  particularly in the region outside the Strait of Gibraltar  is actually very deep and very fit for navigation. It apparently never posed a barrier for navigation and never presented shoals of sand or mud either natural or as the result of the sinking of any islands or continents there. Hence, the oceanographers and other such specialist put the words of Plato to rest, and started looking for Atlantis elsewhere. In despair, some appealed to the Sargasso Sea, even today a favorite theme of Atlantologists unaware of the recent advances of Oceanography and of Comparative Mythology. Indeed, the Sargasso Sea got its name due to a mistake of Christopher Columbus. Columbus believed  to the day of his death  that he was heading to the fabulous Indies. The Indies are the true site of the Eldorado and of Paradise, as any seasoned mariner well knows. Hence, when the great explorer saw the sargassos and flotsam of these seas, he immediately thought he had reached the Indies and its fabled Sargasso Sea which are indeed shallow and treacherous, just as Plato claimed. Columbus, thus, wrongly baptized the seas he discovered with the hopeful but unfortunate name that persists even today. In reality the true Sargasso Sea is the one the Hindus call Nalanala, meaning the same in Sanskrit. The Indian “Sea of Sargassos” is indeed the South China Sea, though the South Indian Ocean is sometimes so named, as well. This sea is the one of the Indonesian region, which is no other than the one of sunken Atlantis. These seas are there indeed shallow and full of reeds, sargassos, kelp, sandbars and coral reefs, which render their navigation next to impossible, except to the extremely skilled native pilots. And the name of “Sargasso Sea” — is specifically applied to the south Indian Ocean in the Map of Ptolemy of the Ulm Edition. The name is naturally given in Latin as Mare Prasodum, where prasodum is the genitive plural of prason (“sargasso, kelp”). What is more, the Indonesian Seas are prone to a very peculiar phenomenon that is indeed linked with the Atlantean cataclysm, just in the manner disclosed by Plato. When the Krakatoa volcano erupted explosively, back in 1883, it caused one of the worst catastrophes ever recorded by men. The explosion originated an immense tidal wave that killed some 40,000 people instantly by drowning, or as the result of exposure. Several more persons died of famine, later on, and were not computed. But the most curious feature of its explosion was the liberation of immense floating banks of pumice stone. These endured for months, impeding navigation in the region and causing the death of a large number of fishes and other marine organisms. We can now understand the true meaning of Plato’s words. The “mud” in question is what Plato calls pelos, a Greek word meaning “slime”, “clay”, “mud”, “muck”, “silt”, “ooze”, “sediment”. In other words, this “mud” is the pumice stone and the fly ash erupted by the giant volcanic explosion  possibly one thousand times larger than the Krakatoa eruption of 1883. This mass covered the local seas with sediments and floating banks of volcanic ejecta. This impeded navigation for perhaps centuries on end. And still does, in a large way. Even today, these seas are, to a large extent, “innavigable” in a rather literal sense, as the result of vast banks of silt and sandbars to a large extent deposited by volcanic cataclysms dated at the end of the Pleistocene. One of the most stringent clues on Plato’s Atlantis is that of a sunken continent “greater than Libya [North Africa] and Asia [Minor] put together”. In other words, Plato is speaking of something like 5 to 10 million square kilometers, about the size of Brazil or the USA. Now that is an enormous piece of real-estate, the size of a continent, one that cannot be easily hidden away anywhere. Where can this continental-sized region be hiding even today? Certainly not in the Atlantic Ocean, that has been scrutinized (for military purposes) down to the decametric scale by both the American and the Russian oceanographic ships. The same is true of the Pacific and the Indian Oceans which have also been thoroughly scanned. Hence, an Atlantic Atlantis is an illusion that is to be found nowhere. So, if Atlantis truly exists, it must be sought elsewhere than in the Atlantic Ocean. It is an extremely interesting fact that Atlantologists  and apparently the oceanographers as well  have been minutely searching the world’s ocean so thoroughly that they forgot to seek in the exact spot where Atlantis actually lies: the South China Sea. Strictly speaking, the South China Sea  that of Indonesia, to be sure  lies between the Pacific and the Indian Oceans. But it belongs to neither, and actually forms their divide. This is the reason why Indonesia was called Ultima Thule (that is, “Ultimate Divide”) by the ancients. Thule was considered “the Divide of the World” in antiquity, as it separated the Old from the New World. As the world is spherical, and closes upon itself, its extremes touch each other. So, the two extremes of the world (Orient and Occident) are indeed coterminous, and are also at the center, the Center of the World. This is how the paradox of Thule and the Pillars of Hercules being both the ultimate extremity of the world and, simultaneously, its Center or Navel (Omphalos) should be ultimately understood. It is also thus that we must understand the paradox of Paradise lying both at the Extreme Occident and the Extreme Orient. For, beyond the Far Orient (the farthest east) lies the Far Occident (the farthest west), the New World. The whole thing is rather obvious, if only a posteriori, when we pause to think it over. Columbus reasoned in precisely this way when he attempted to reach the Far East via the west, by sailing in the Atlantic Ocean. The South China averages only about 50-60 meters in depth. It is, hence, extremely shallow and dangerously filled with sandbars and coral reefs that render navigation there extremely perilous, just as Plato affirmed (see item 9 above). Thus, it is possible to understand precisely what happened according to Plato. Geology has recently afforded this type of evidence as well. During the Pleistocene Ice Age  or, more exactly, during the last Glacial Period  so much water was retained in the continental glaciers that sea level was lower by some 100-150 meters. Hence, the shallow bottom of the South China Sea was completely exposed, forming a vast expanse of continental dimensions. It was this vast expanse that the Greeks called Elysian Fields and the Egyptians named Sekhet Aaru (or “Field of Reeds”). This marshy country is the one which later became the primordial Sargasso Sea of the Indonesian region (9). So, while it is true that “continents cannot sink”, it is also true that sea level can rise and flood entire continents, as it did in the South China Sea. It is there that we must seek Atlantis and Eden, as well as the Elysian Fields and the Isles of the Blest. It was also there that once lay the felicitous Paradise, the very cradle of Mankind and of Civilization. Atlantis has not been found before because it has been sought in the wrong side of the world, perhaps as the result of ethnocentric biases and white supremacist preconceptions. When we look at a map of the region during the Ice Age (Fig. 1) we can see that, indeed, the region formed a vast expanse of continental size, precisely as Plato and others postulated, and just as we argued above. Plato speaks of a sudden cataclysm, taking place “in a single day and a night of sorrow”. In contrast, geologists unanimously affirm that the rise in sea level was slow and gradual, and that the process lasted perhaps a millennium, while the glaciers slowly melted away, their meltwaters gradually filling the seas. Can these two points of view, so opposite in scope be factually reconciled? Actually both are somewhat right, once they are properly understood. What indeed happened was that the giant explosive eruption of the Krakatoa volcano caused a colossal tsunami  improperly called “tidal wave”  which swept over Atlantis’ lowlands and rivers valleys, killing and destroying all things in its wake. And this colossal explosion also caused the end of the Pleistocene Ice Age. this event occurred because the giant explosion covered the world’s glaciers with a fine layer of soot. This soot increased their absorption of the sun’s heat, causing their consequent melting. The meltwaters of the continental glaciers flowed to the seas, rising their level. The extra weight of that water created huge stresses between the overloaded seafloors and the alleviated continental lands. These stresses, in turn, led to further paroxysms of volcanism and earthquakes of a hitherto unprecedented scale. The reason for this is easy to understand. As the glaciers melted away, their meltwaters flowed into the ocean, causing sea level to rise by 100-150 meters. The alleviated continental plates rose isostatically (isostatic rebound), while the overburdened seafloors, subjected to the tremendous pressure of the extra water, tended to sink even further. This strain caused tremendous stresses in the crust of the earth, which cracked and quaked at the weak spots, engendering the paroxysm in question. The process is self-sustaining, once started, due to positive feedback, for the increased volcanism and seismic activity further accelerates glacier melting, as described above. We consider megalithic constructions  particularly the ones made of hewn stones such as those of Egypt and Peru  to be the very “signature” of the Atlanteans. The reason is easy to see. In order to work hard stones such as granite and basalt, nothing short of steel or, at the very minimum, bronze, will ever do. Stone  even as hard as dolerite and granite  soon chip and crack, becoming unusable. Archaeologists generally claim that the Egyptians and the Peruvian Indians who built the colossal structures we can observe even today in England (Stonehenge), in Giza (the Great Pyramid) and in Peru and Bolivia (Tiahuanaco) did it with tools fashioned from copper or from stones such as dolerite. This fact shows that they actually never attempted to do it in reality or even to theoretically demonstrate how this can be done in practice. The reason for that is simple to see, as the feat is completely impossible in actuality. The true secret of megalithic construction is the possession of steel and bronze tools and of the metallurgical techniques to produce them. This technology existed in the Far East several millennia before the recognized date of their introduction in the West. It is clear that this technique came from elsewhere, and was indeed practiced by foreigners or invaders that kept such secrets for themselves. Such was precisely the case in both Egypt and Peru, the two greatest early exponents of megalithic technology outside the Far East. Incan and Egyptian traditions both tell how personages associated with the construction of megaliths and pyramids came from the distant Orient, bringing along their steel weapons. These they later crafted into the tools they used in order to erect their magnificent megalithic constructions. In Egypt, a steel tool was found inside the Great Pyramid by Col. Vyse, who swore in writing that it could in no case be intrusive and, hence, of later date. But the Great Pyramid was built in 2,600 BC, almost 2 millennia before iron was officially introduced in Egypt. Furthermore, the builders (Free-Masons?) to whom such megalithic constructions are ascribed  personages such as Khufu, Imhotep and Thoth  are unanimously said to have come from the Orient, from the site of Paradise (Punt). Punt (Indonesia)is precisely the site of the Paradise we believe to be the same as Atlantis. The same thing also happened in Peru. There the Incas attributed the construction of Tiahuanaco’s magnificent pyramids and precision megalithic structures to the Chimus (or Chams), whom they described as white, blond, blue-eyed giants. This is the standard phenotype of the Atlanteans everywhere. These Indians also claim that, when these invaders came from beyond the Ocean (Pacific), they brought along the iron and the bronze with which they fashioned their tools and weapons. Even the name the Peruvians used for steel (quillay) is of Dravidian derivation, and clearly came from the Far Orient. When we turn to places such as Greece (legends on the construction of Troy); to England (Stonehenge), France (Carnac) and the Far East itself (Angkor, Java, South India) we always find the legends claiming that these monuments were built by blond giants and dark dwarfs working jointly and using magical means in order to erect their megaliths. Are these, perhaps, reflections of Atlantis and its two races of giants (Nagas) and dwarfs (Kinnaras, or what? How else can we reasonably explain otherwise the mystery of the construction of the spectacular monuments such as the Great Pyramid, Zozer’s pyramidal complex, the megaliths of Tiahuanaco or even the rougher constructions of France (Carnac) and England (Stonehenge)? These were all constructed of gigantic hard-stones shaped to exacting tolerances by means of a technique that we are barely able to reproduce today. Moreover, how but through Atlantis can we explain the fact that all such monuments were built to serve a common purpose as a replica of Atlantis? Besides, why are they all ascribed to semi-divine personages of Atlantean origin who used superior, seemingly magical techniques for the purpose? Plato relates in detail how Atlantis had an immense army for the time, totaling about 1.2 million armed men. This vast army had a sum of 10,000 chariots, something portentous for the epoch. Now, war chariots require horses, which is to say that the horse was first domesticated in Atlantis some 12 thousand years ago or even more. This fact apparently rules out the Americas from our list, as they did not posses the animal except under non-conformal sizes and dates. The same conclusion also applies to Europe and the Near East. There, the horse was only introduced far later by way of Egypt and the Hyksos, at about 1,670 AC or so. All in all, it seems that if Plato’s disclosures on the intensive use of domesticated horses in Atlantis is indeed true, only an Oriental location for the Lost Continent is indeed consonant with actual fact. The origin and the domestication of the horse is wrapped in mystery, as is usually the case with all things Atlantean. The magnificent animal apparently arose in Asia at about 38 million years ago. From there it later spread to the Americas, and became extinct there afterwards, but not before returning to Eurasia. Experts believe that the horse was domesticated in Central Asia at about the third millennium BC. From there, via Egypt and the Hyksos, the horse’s use spread to Europe and the Near East and, perhaps, from this, back to the Far Orient, where its use had been utterly lost and forgotten. Experts also generally agree that the domestic horse does not derive from American stocks but, instead from Asian ones. Hence, the very archaeology of the horse points to Asia as the land of origin of the domesticated horse. This suggests a connection between Atlantis and the Orient if Plato is right in his assertion that the domestic horse originated in Atlantis far earlier than the experts would have it. Plato also tells how the royal capital city of Atlantis had extensive hippodromes for horse racing. Plato is probably alluding to chariot racing, though it is not impossible that there were also mounted contests. The large width of the racing course (200 meters) suggests chariot contests, a sport highly cherished in antiquity. The Horse Sacrifice of the Hindus (Ashvamedha) is indeed a ritual enactment of the death of Paradise (Atlantis). The horse is there commemorated as the animal that represents the Cosmos (Paradise). So, this strange Vedic ritual again establishes a link with Atlantis as the homeland of the domesticated horse, one of the finest of all conquests of man. The legend of the Trojan Horse also brings to mind a connection between Atlantis and horses, for the true Troy is no other than Atlantis. As the horse and combat chariots did not exist in the Near East before their introduction by the Hyksos, we can be sure that Schliemann’s Troy is not the real one, as archaeologists presently believe. The war chariots described in detail by Plato are of the Hindu type rather than of the one used throughout the ancient Near East. The war chariots of Atlantis, like the ones of India, had two charioteers and a pair of draft horses. One of the riders drove, while the other charioteer shot arrows at the enemies with the help of his bow. The celebrated passage of the Bhagavad Gita on Krishna and Arjuna as the charioteers of victory describes in detail the classical battles fought during the Bronze Age and, in all probability, in Atlantis as well. We cannot end this section without repeating that, from all the gifts man has inherited from Atlantis, the domesticated horse was certainly one of the noblest of all. Though classically used in combats and disputes of all sorts, the horse also served as a means of transportation, of drafting loads and implements and, above all, for riding, along all the millennia that preceded the epoch-making invention of the automobile. When one admires horses on the loose, one is usually impressed with the great speed and the gracefulness of the superb animal. But one is also struck with the wide extensions that these magnificent creatures require both for roaming and for feeding. One is also led to dream of paradisial grassy plains of enormous extension, abounding in fat grass and in water sources flashing under the warm sunlight of the tropical regions. What other plains are as fit as the Elysian Plains for the birthplace of the horse and for that of the wise ancestors who first dreamed of turning the horse in an everyday companion and friend? The very fact that the ancestor of the domesticated horse cannot be traced with security suggests a lost site of origin like the one of Atlantis. Atlantis, we recall, was the very site of the Elysian Plains, the immense grassy pampas where the horse is most likely to have originated. The question of elephants is very important, for it sheds a lot of light on the issue of Atlantis. The date given by Plato for the end of Atlantis  that of 11,600 BP  is a divisor of waters. It corresponds precisely with that of the drastic end of the Pleistocene. This is the epoch when the mammoth and the mastodon became extinct throughout the world, along with a myriad species of other plants and animals. Plato would certainly call these two elephantoids by the name of “elephant”, an animal they closely resemble in both shape and size. So, if we consider the date given by Plato to be real, we could place Atlantis everywhere these great mammals existed. In contrast, if we accept later dates, as do the proponents of an American or a Theran Atlantis, we must disregard the mammoth and the mastodon, for they were already extinct. To be sure, there are some later RC dates for the mammoth in North America, well after the end of the Pleistocene. But these should be considered pending confirmation, as they seem to be spurious, perhaps as the result of contamination by extraneous material. In other words, elephants proper are only found in Africa and in South Asia. So, the exigency of their presence by Plato excludes the Americas and the Mediterranean Basin, with the exception of North African countries. The elephant existed in North Africa, and was utilized by Hannibal of Carthage, in his war against Rome. Some ancient traditions report the presence of wild elephants in Syria, where it was ritually hunted by kings and pharaohs. But these traditions probably refer to the pristine “Syria”, the Island of the Sun (Surya, in Sanskrit), which is no other than Atlantis itself. However, the unlikely presence of the elephant in ancient Palestine would hardly invalidate any of our conclusions, for this semi-desertic region of the globe can hardly have been the actual site of luscious, tropical Atlantis. The wonderful creature also exists in the African savannas in relatively great numbers. But it is in the Indies  that is, in India, Indonesia and the Malay Peninsula  that the elephant indeed thrives. There, the elephant has been domesticated as a beast both of burden and warfare use since remotest antiquity, as attested in the steatite seals of the Indus Valley Civilization. The mammoth and the mastodon  in contrast to the elephant  were well adapted to cold weather, and ranged farther north, into the icy regions of Pleistocenic North America, Europe, and North Asia. So, if we include these creatures under the “elephants” mentioned by Plato, we must also include the regions just mentioned as possible sites for Atlantis. But we should keep in mind that this inclusion automatically requires that the date for Atlantis in these locations must be the one given by Plato for its demise, for these animals became extinct after the end of the Pleistocene Ice Age, some 11,600 years ago, the very date of Atlantis’ foundering. Turning to other points. As a matter of fact, the elephant was the totemic deity of the Nagas (or Aryans) of India. The Nagas (or Titans) were the people so closely connected with Atlantis and Atlantean legends there and elsewhere. Indeed, the word naga means both “elephant” and “serpent” (or “dragon”) in Sanskrit. Such “dragons” or “elephants” are universally held to be the same as the Atlantean Sons of God, the engenderers of royal dynasties everywhere. Such was the case, for instance, of Alexander, the Great, of Buddha (the Elephant = a Naga), and of Arthur Pendragon (“Son of the Dragon”). Interestingly enough, the Mayas of Mexico worshipped the elephant as a totemic deity, and endlessly reproduced the animal’s features in their temples and palaces. Mayan temples are often decorated with elephantine trunks in the so-called “elephant trunk” decorations. These are said to reproduce the elephant-faced god called Chaac. Chaac seems to be the exact counterpart of his Hindu alias, Ganesha, likewise elephant-headed. No one with an open mind can ever deny that the Mayan god Chaac  locally called Narigón (“Big Nose”)  is anything other than an elephant god of the type the Hindus call Naga (a Sanskrit word meaning both “Elephant and “Serpent” or “Dragon”). The Nagas represent the anguipedal Titans and, in particular, the serpent (or elephant = Naga) god Shesha. Shesha is the true archetype of Atlas as the Pillar of the World. Similar elephantine temple decoration abound even today in the Indies. There the elephant (or serpent) god is, just as in Mayan America, endlessly reproduced in the form of pillars supporting the temples’ roofings which represents the skies. In Incan Peru we also had the same thing. There too, the Serpent Amaru  the exact counterpart of Shesha  was held to support the world. Its dual was the Inti Bird, a sort of kite or falcon, also the archenemy of serpents. Both animals figured in the royal coat-of-arms, just as they did in Mexico. The elephant or serpent gods of the Incas, the Mayas and the Hindus have a dual in the eagle god, called Garuda or Nagari (“Enemy of the Nagas”) in the Indies. In Mexico, the duel of the Eagle and the Serpent has been adopted as the national emblem of Mexico, as it was central to Mayan religion. The motif is equally famous in the Indies, where Garuda is the Eagle, and the Nagas are the Serpents or Dragons. Hence, either the Mayas got their notion of elephant gods from India, or we have to root their formidable civilization in antediluvian, Pleistocenic times. Both perspectives are equally fascinating. They both spell Atlantis, for Pleistocenic civilizations or intimate trans-Pacific contacts between the Far East and the Americas both collide front on with “official” views of human prehistory. Positive ( ): Plato, the Indies, North Africa, Libya and African Northwest. Doubtful ( ): Sunken Atlantic Island, Scandinavia (and North Sea), Celtiberia. Negative ( ): Thera (Crete) and Antarctica, where no traces of elephants or mammoths have ever been discovered. Few facts are as well recorded in geology as the Universal Flood. It is sufficient to read Buffon, Cuvier, Buckland, and other such pre-Darwinian Catastrophists to verify how ample the evidence of a universal cataclysm is everywhere. The modern Catastrophists  the geologists that have the guts to disagree with the official Uniformitarian doctrines of Darwin and Lyell  have even more compelling evidence on this universal cataclysm. Indeed the end of the Pleistocene 11,600 years ago was attended by terrible mass extinctions and cataclysms the world over. The date is precisely that given by Plato. To believe that this coincidence is purely random borders the irrational. Some 70% of all species of great mammals and a whole series of lesser ones got extinct then. Even the Neanderthals and the Cro-Magnons seem to have perished in that cataclysm, as they became extinct at or about that terrible date. But, it is in North America that the evidence of an immense Flood cataclysm is the most evident. Many geologists have recognized that geological features such as the scablands of the Northwestern United States, that the drumlins of the northwestern plains of Canada and that the whales of the region of the Great Lakes, in the very heart of the North American continent, are the result of a gigantic flood of continental scale. Some geologists, unfamiliar with the details of the problem, ascribe this continental flooding to a gigantic lake formed by the meltwaters of the Pleistocenic glaciers when they receded at the end of that geological age. But experts such as Dr. Warren Hunt and others have shown the practical impossibility that the giant amounts of glacier meltwaters could have been dammed by ice dikes, for this material lacks both the strength and the adhesivity to withhold so much water. The only possible explanation that makes sense is that of a sudden maritime invasion caused by a giant tsunami of global proportions, as some geologists are now starting to realize. Everything points to the fact that this giant wave came in from the Pacific Ocean via the north, across the Arctic Ocean. It passed over Alaska and northwestern Siberia where it left the evidence of the frozen mammoths and the immense quantities of “muck” formed by diluvial debris such as whales, marine organisms, dead fishes, splintered trees and many other such records. Then, it created  both in its wake and in the subsequent gradual withdrawal of its waters  the drumlins and the scablands we presently observe in that vast region of the world. As concerns the legends of the Universal Flood. The memories of the Flood are the actual imprint left by the cataclysmic end of the Ice Age on the minds of men. There are few things so well attested in myths and traditions as the cataclysm of the Flood and the destruction of Paradise it caused in the dawn of times. Its tradition is as universal as is the geological evidence for itself. Of course, the actual accounts differ from place to place for, evidently, the actual experiences and visions of the cataclysm also changed from place to place. Some of these relations tell of maritime invasions by the giant tsunami along the Pacific Coasts, rains and tempests further away, sky darkening everywhere. They also speak of earthquakes and volcanic conflagrations near the epicenter of the cataclysm, in Indonesia and Southeast Asia, and so on. An objective analysis of all these many descriptions of the Flood and the destruction of Paradise by the agency of Fire and Water reveals that the cataclysm in question can only have been the drastic ending of the Pleistocene Ice Age. Again, an unbiased analysis discloses the fact that this cataclysm was caused by a huge volcanic explosion that triggered a sort of chain reaction. The event in question took place precisely at the date stated by Plato for the demise of Atlantis, that of 11,600 BP. To believe that these are sheer coincidences or, contrariwise, that the Flood was a petty local cataclysm wildly exaggerated by the ancient “primitives” is a view that cannot be held anymore except by the hardiest of diehards. The reality of Catastrophism in Geology has now been established beyond reasonable doubt by all sorts of factual evidence. So, the tenets of Uniformitarianism of Darwin and Lyell cannot reasonably be adhered to any longer by any sensible person on a par with the modern developments of Geology and Evolutionism. Many authorities have noted the close resemblance of Plato’s Atlantis and Homer’s Phaeacia, the distant golden realm visited by Odysseus (Ulysses) in his wanderings in the Outer Ocean. Homer’s Phaeacia (or Scheria, its other name) indubitably lay in the Indian Ocean, which is referred to by Homer as “the winy red ocean”. This and other such epithets applied exclusively to the Indian Ocean, which was called Erythraean (“Red One”) by the Greeks. This people considered the Erythraean as the eastern extension of the Atlantic Ocean, and deemed it the veritable Ocean of the Atlanteans, as we argue elsewhere. In Homer’s own words, “the splendor of the palace was like that of the sun and the moon”. Homer also affirms that the Phaeacians “are a sea-faring nation, and sail all seas by the grace of Poseidon, in ships fleet like thought or as a bird in the air”. Actually, the very name of Scheria  said to derive from the Phoenician word schera, meaning “market-place”.  is telltale. It shows that Homer’s fabulous golden realm was, like its Atlantean counterpart, the emporium of a vast network of international naval commerce. The name of Scheria can also be approached to the Greek word schedia meaning “ships” or, rather, “fleet ships”, like the ones of Atlantis. Indeed, Homer likens Phaeacia to a huge ship which was turned into stone and sunken by Poseidon, as a punishment for their disobedience in helping Ulysses. Coincidentally enough, Poseidon, the great god of the Phaeacians, is also the founder and supreme god of the Atlanteans, according to Plato. Ship-like Phaeacia closely evokes the primordial Tyre of Ezekiel (ch. 26-28) which was likened to a ship by the prophet. Ezekiel’s “Tyre” later became “a place to spread fishing nets upon” after it was turned into stone and sunk underseas. Ezekiel describes this primordial Tyre as a “renowned city, inhabited by a seafaring nation of merchants, strong in the middle of the seas”. The great prophet also places this famous city among the other “islands of the Outer Ocean” rather than in Mediterranean Basin. When we pause to think it over, we see that this primordial “Tyre” is indubitably the same as Homer’s Phaeacia and as Plato’s Atlantis. It was the model of the other Tyre in Lebanon, founded by the Phoenicians at about 1,500BC, after they removed from their primordial homeland beyond the ocean (Indian). Ezekiel tells how Tyre and the other islands “trembled in day of thy departure… in the midst of the waters”. Ezekiel’s “Tyre” is also likened to “Eden, the Garden of the Lord”. It is sited, by the prophet, “in the middle of the seas” among the other islands of the Outer Ocean, as we said above. Ezekiel’s “Tyre” was, like Plato’s Atlantis, “full of a multitude of merchants” who traded in all sorts of goods such as metals, gemstones, precious stuff and spices in their “ships of Tarshish”. Tarshish was, as Ezekiel and others affirm, the supplier of metals such as silver, gold, iron, tin, copper and bronze to the ancient nations of the Bronze Age. There can little doubt that Tarshish and, hence, the other isles of the ocean such as Ezekiel’s “Tyre”, lay in the Indian Ocean. In reality, the Phoenician sailors of King Solomon and of Hiram of Tyre reached these overseas region from the port of Ezion-Geber, in the Red Sea. Though the mysterious Tarshish  the supplier of mineral ores and gemstones  has been often confused with the Spanish Tartessos, the fact is that the Spanish Tartessos was, like the Lebanese Tyre, merely a replica of their pristine archetypes in the islands of Indonesia. The “isles of the sea” of Ezekiel are no other than the “Atlantic Islands” that were invariably reproduced in the Medieval maps of the world as “newly discovered” (insulae de novo repertae). These mysterious islands were indeed those of Indonesia, the other “India” from which the spices and the metals were imported in antiquity. The naval route to these distant islands were ardently sought out by all mariners down to the times of the great navigators such as Columbus, Vasco da Gama, Magellan and Cabral. They were the islands of the East Indies so vainly sought by all mariners down to the times of these discoverers, who finally cleared the riddle of their true location and whereabouts. The ancient sagas of navigator heroes such as Ulysses, the Argonauts, Gilgamesh, and the Shipwrecked Egyptian Sailor, or the peripluses of pseudo-historical sailors such as Hanno, Himilco, Pytheas of Marseilles and Scylax of Caryanda, are no more than coded verbal maps of the route to the fabulous Indies, as we argue in detail elsewhere. In other words, there was only one region in antiquity that corresponded to Plato’s description of the fabulously rich Atlantis as a nation of worldwide navigators and suppliers of all kinds of precious merchandise. That nation was India and, more exactly, the two Indies, India and Indonesia. Down to modern times, as throughout all antiquity, the Indies were the source of precious merchandises such as the ones mentioned above. These merchandises were all Indian exclusivities in antiquity. So, the fact that they are linked to Atlantis by Plato, and to Ophir (or Tarshish or Eden or “Tyre”) in the Bible, is a stringent hint of the fundamental identity of all these locations with the fabulous East Indies. Only later were alternative sources of supply of the crucial tin (the British Cassiterides), of amber (the Baltic) and of “spices” (the Americas) discovered to replace the fabulous Indies, the true successors of the legendary Atlantis. The Phoenician and other ancient navigators like the Carthaginians, the Minoan Cretans and the Etruscans were the children of Atlantis. They were the survivors of the Atlantean cataclysm who kept on the ancient naval commerce that made both the glory and the immense wealth of the luciferine empires. The Spanish Tartessos, so often confused with the legendary Tarshish  that was the ancient supplier of tin according to the Bible  never produced a single pound of the crucial metal in antiquity. As a matter of fact, the primeval Tarshish whence tin came in antiquity lay overseas, in the Indian Ocean. Tartessos, its Spanish replica, was merely an artifice of the clever Phoenicians in order to divert the potential competitors from the true source of the precious metal (see item 15 above). Likewise, the Cassiterides  the legendary “islands of tin” (kassiteros, in Greek) of Cornwall (England)  was only an alternative, far later source of supply of tin. The mines of Cornwall were only discovered and activated by the Phoenicians at about the VI century BC. This is far too late for the Bronze Age, which ended at about 1,000 BC or so. Herodotus (fl. 430 BC) had vaguely heard of the Cassiterides, which he confused with Tartessos. Later writers applied the name to some smallish islands off the coast of Spain or to the northeast coast of Spain, in the region of Gades. But neither of these proved to be the actual source of tin, and the Greco-Roman writers were not able to identify the true location of the fabulous Cassiterides. The Cassiterides retained their legendary existence even after the source of tin in Cornwall was positively identified. The little that was known for certain of the Cassiterides was that they lay “outside the Pillars of Hercules”, precisely as was the case of Atlantis. The Greek name of tin, kassiteros, derives from the Dravida and Sanskrit kacita, meaning “white metal”. The fact that the European name of tin is Hindu demonstrates beyond reasonable doubt the the Indian origin and provenience of the precious white metal. Avienus makes a confused description of the locations of the Cassiterides in his Ora Maritima (96f.). He places these mysterious isles  which he identifies with Gades and Tartessos, as well as the Oestrymnid Islands  near the Pillars of Hercules and the Sargasso Sea. Both these places are intimately connected with the site of Atlantis. As a matter of fact, the word oestrum, from which the Tin Islands derive their name, means “fury”, “hallucination”. And this etymon is merely the translation into Greek of the name of the Moluccas, meaning the same thing in Dravida (malukku). “Moluccas” was the name the ancient mariners gave to the Spice Islands of Indonesia, because of the inebriating spices, herbs and hallucinogens produced there. These drugs the Phoenicians, the Etruscans and the Minoans brought to the Occident, along with the metals and gemstones and other similar exclusivities of the fabulous Indian trade, which they resold at an exorbitant price. It has been recently determined, through detailed chemical analyses of several Egyptian mummies, that the drug traffic in antiquity was quite widespread. It encompassed the Americas (coca, tobacco), the Indies (hashish and opium) and the Near East (opium and heroine). These results were obtained by a German team of experts, and are quite unassailable. We all know how meticulous and competent the Germans are at this type of research. these results are so unbelievable that they were questioned. But they could not be refuted at all and, hence, must be accepted as real until someone is able to refute them. Avienus also identifies the Cassiterides with the site of Mt. Cassius (or Argentarius). The silvery colour of this mountain derives, according to him, from it being covered with tin, so often confused with silver by the ancients. The poet also makes these islands the site of the Pillars of Hercules and of the abode of the giant Geryon. Geryon was, as we all know, the three-bodied giant killed by the Hero in his tenth labor. Now, Geryon inhabited the island of Erytheia, which was located in the Orient, beyond the ocean (Indian) and the Pillars of Hercules, at the very site of Atlantis (see item 8 above). As we show elsewhere, these legendary islands, so rich in gold, silver and tin, were the same as the ones the Greek called by names such as Argyre (“Silvery Islands”) or Chryse (“Golden Islands”). These islands were also called Chryse Chersonesos (“Peninsula of Gold”) or Cassia Chersonesos (“Peninsula of Tin”). For, in antiquity, islands and peninsulas (“near islands”) were vaguely confused. This golden peninsula and the nearby islands in question were those of present day Indonesia. Indonesia is, even today, the greatest supplier of tin and related metals, just as it was in remotest antiquity. The Hindus called these fabled islands by names such as Saka-dvipa (“White Islands”) or Suvarna-dvipa (“Golden Islands”) because of the metals (gold and tin, the white metal) they produced. In fact, Saka-dvipa is described in the Puranas as extremely rich in precious metals and gemstones. Its inhabitants were whites like the Pious Ethiopians of Indonesia-Atlantis, as described by Pliny and Solinus and several other Classical authors. Saka-dvipa is also characterized by having “a golden lofty mountain whence the clouds arise that bring the rains” and another one “that produces all the herbs and medicinal drugs”. Now, the Golden Mountain is Mt. Meru (or Sumeru) and the other one is the Silvery Mountain (or Kumeru) which Avienus calls Mt. Argentarius (or Cassius). In Sanskrit, the word Saka means both “white” (or “white metal”) and “medicinal drug”, just as in the name of the Moluccas. So, we see how the confusion of the two names originally arose. “Their island itself produced most of what was required by them for the uses of life. In the first place they dug out of the earth whatever [metals and gemstones] that are to be found there, solid or fusible. The lavish use of metals by the Atlanteans extended to the gold and the silver used with abundance in their temples and palaces. Alexander, in his fabled conquest of the Indies, had the opportunity of seeing in person the multitude of golden pillars quite like the ones the kings of Atlantis used to inscribe their laws and edits. Proclus, a Neo-Platonic that commented Plato’s works, tells how Crantor, another Neo-Platonic, could still see, in Egypt, the golden pillar that the priests of Sais showed to the tourists, and which was inscribed with scripts telling the story of the lost continent. Proclus also affirms that Atlantis’ remains formed an archipelago in the Outer Ocean, “beyond the Pillars of Hercules”. In brief, many traditions concur in the fact that Atlantis was immensely rich in all sorts of metals and minerals such as gemstones, and particularly in tin, gold and silver, which it furnished to all nations of the ancient world. Traditions such as those of Solomon’s fabulous mines in Ophir, or of heroes such as Ulysses and the Argonauts seeking the fabled golden realms of Phaeacia and Aiaia are no more than dim recollections of Atlantis, distorted and magnified to impossible limits by the ancient bards. So are the ancient traditions such as the bronzy walls of Hades, the golden and silvery mountains of the Far Orient, and the Eldorado of the Conquistadors, who mistook the Americas for the Indies, the true site of Atlantis-Eden. Some of these golden realms are sunken cities like the flashy submarine realm of Poseidon (Aigaia), or the likewise superb golden palace of Triton, in the bottom of the Ocean. Others were explicitly submerged by the Flood, as was the case of golden Troy and its bronzy walls or the one of Atlantis itself. Finally, most were remote islands of the Far East, located beyond the Pillars of Hercules. Such was the case of the rosy Erytheia of Geryon and of the mysterious islands mentioned by Proclus, who equated them with the fabled remains of Atlantis. In every case it is possible to show  as we do elsewhere  that all these half-sunken realms turned into islands are indeed the same as those of Indonesia. More exactly they also include the Moluccas (or Spice Islands or Golden Islands), as well as the nearby lands of South and Southeast Asia. These forlorn islands are, moreover, the same as the Elysium or Isles of the Blest, the paradisial Hades where our dead Atlantean ancestors spend their eternal life in joyful banquets, games, dances, hunts and anglings This dismal Paradise was yet the same the Egyptians called Punt (or Amenti or Duat, etc.). The only hard evidence given by Plato of a superior technology utilized by the Atlanteans consists in the use of orichalc, the mysterious metal which “flashed like fire” and which they used to clad the walls of their citadel. As we adduced above (see item 16) orichalc  or aurichalcum, that is “golden copper”, as Pliny wrote  is brass, an alloy of copper and zinc of a beautiful golden colour and superior mechanical properties. The manufacture of brass was a technological feat that could only be repeated in modern times due to the difficulties inherent in the process. The fact that the Atlanteans could mass produce this alloy is a direct proof of their superior science and technology. So is, for that matter, the fact that they could mass produce metals and gemstones in quantity sufficient to supply the ancient nations with these items so difficult to procure and to process in the primitive conditions that were then prevalent. The proofs of a superior science and technology possessed by the Atlanteans are of a twofold nature: traditional and factual. In the traditional account we have the legends and myths like those on wonderful flying machines like the vimanas and the vahanas of the Ramayana and the Mahabharata. These holy books talk of airships capable of carrying entire armies; of weapons (agniastras) that can only have been firearms and of explosives that, like the atomic weapons, were able to wipe out entire cities. They tell of talking machines capable of making forecasts and of allowing the viewing of distant persons. They also speak of teleportation, of telepathy, of levitation, of transmutation of the metals, of the effortless erection of megalithic buildings and structures such as the Great Pyramid. Such “magical means” bespeak of a superior science and technology. Furthermore, those sacred traditions even suggest the use of genetic engineering to create the domesticated plants and animals, if not a sub-species of men intended for specific purposes like that of “serving the gods”. Superior metallic alloys such as stainless steel, bronze and brass (“orichalc”) have existed from remotest antiquity. And no one has been able so far to give a satisfactory account of the epoch of their invention or of their place of origin. Where else but in Atlantis, the true site of the Garden of Eden? Crucial inventions like the domesticated plants and animals, the alphabet, scripture, paper, gunpowder, metal-casting and smelting, brewing and distillation, medicinal drugs, electroplating, lenses, telescopes and eyeglasses, stone cutting and shaping, and a myriad such “magical creations” apparently came to us from nowhere. In the official accounts, they came from an unlikely “China”. But China was itself civilized, as were most ancient nations, by the Hindus. The Hindus, in turn, claim to have been civilized by the Atlantean Nagas. Are they all indeed telling a lie or the truth? And why would the ancients all be lying? In our opinion, the greatest achievement of the ancient Atlanteans lay in the social and metaphysical sciences: Religion, Philosophy, Ethics, Law, Mythology, Psychology and so on. Whoever studies in depth the true scope of Greek philosophy  as expounded by philosophers such as Plato, Pythagoras, Aristotle, Epicurus, Zeno, Thales, Anaxagoras and several others  will not fail to realize that their esoteric doctrines all root in the Hindu darshanas (philosophical systems). The profundity of these Indian sciences so far surpass the ones of the Occident that it is only as the result of being blinded by ethnocentrism that our experts have failed to realize the fact that our religions and our philosophical systems all came to us from the Orient. Now, this could only have happened in the dawn of times, precisely as our Holy Books and our sacred traditions maintain. All these “Hindu” doctrines, in turn, root in ancient treatises ascribed to legendary authors of antediluvian times which can be none other than those of Atlantis itself. Religion too  perhaps the greatest of all creations of Man  can only have originated in Paradise, that is, in Atlantis itself. This is easy to see not only in the ancient traditions of its revelation by gods or angels or superior beings (Atlanteans), but also by the fact that all religions stem from a single source, the Urreligion (or “Primeval Religion”) envisaged by certain specialists of genius such as Mircea Eliade and René Guénon. Mythology is yet another Atlantean creation that provides the archetypes and the exemplary models of behavior and mentality that we all follow rather blindly and instinctively during our lifetime. Most myths deal with Atlantis and Atlantean matters, and enmesh serendipitously with the eschatological doctrines of our religions. Where else but in destroyed Atlantis could myths such as those of the Flood or that of the Millennium and the rebirth of the Celestial Jerusalem (Atlantis) have originated? Who else but the Atlanteans could have diffused myths such as these to the whole world, including the remotest corners of the Amazon jungle and those of Indonesia and South Asia? The fact is that all supreme inventions  the ones that turned Man into something more than an ape or a ravening beast  came to us from Atlantis, in the dawn of times. The one invention which allowed all others was that of agriculture, the supreme legacy of the ancient Atlanteans to us. It was agriculture that allowed the fixation of Man to the ground, and guaranteed the availability of food with far less labor than that required in hunting and gathering foodstuffs. With its peculiar arrogance, modern science has been utterly incapable of creating even a single example of domesticated plant or animal beyond the ones we inherited from the dawn of times, the epoch of our Atlantean forefathers. Many of these plants and animals  in particular the dog, the pig, the goat, maize, wheat, barley, cotton, coconuts, pineapples, yam, potatoes, bananas, grapes and many others  existed both in the Old and in the New World. And this, in turn, requires an advanced knowledge of spherical trigonometry, of logarithms, of projective geometry and of related sciences. Moreover, this precision mapping requires the use of very accurate instruments like chronometers, telescopes, sextants, armillary spheres, and so on, for the determination of the stellar coordinates and of the position of the observer at the time of observation. The ancients knew  but clearly lacked the capability for having discovered such facts  about the two moons of Mars, the twelve of Jupiter, the ten of Saturn. Moreover, they knew of the heliocentricity of the Solar System, of the nine planets, and the rings of Saturn, as well as of the fact that Sirius, the largest star in the sky, has a invisible twin of extremely high density. The ancients were also capable of calculating and effecting stellar alignments of an amazing precision. Their accuracy sometimes exceeds what modern astronomers can do, even with the best of computer programs. They had an almost superior ability to predict astronomical dates and ephemerides both in the distant past and in the distant future. These dates they unequivocally indicated by means of accurate alignments embedded in the Great Pyramid and in other artifacts that many traditions attribute to the Atlanteans. Likewise, the Great Pyramid also embodies such geodetical measurements as the lengths of the Polar Meridian and the Equatorial Circle to a precision that favorably compares to those obtained recently by geodetical satellites. We discuss these matters in detail in our book on Atlantis, to which we refer the interested reader. As we said above (see item 17), the greatest of human inventions was that of Agriculture. Agriculture allowed the fixation of Man to the soil and, hence, the rise of civilization and the development of all arts and sciences. But, exclusive of an slash-and-burn agriculture that does not allow this fixation, some means to renew the fertility of the soil in a permanent fashion had yet to be found. In the modern world, this is achieved by the chemical synthesis of fertilizers or, in rare instances, by composting the residues of animals and plants. In the ancient world, the renovation of the soil was insured by two basic processes. The first one consisted in taking advantage of the yearly floods of rivers such as the Nile, the Tigris, the Euphrates, the Indus, the Ganges and the Irrawaddy The floodwaters brought the silt that was deposited in the fields, renewing the soil and irrigating the plantation. This process is still widely used in the Far East, where it probably originated in Atlantean times. The other process utilizes volcanoes to insure the renovation of the soil. Volcanic cinders are immensely fertile. Volcanic fly ash descends with the rains, covering the soil and fertilizing it. Such was the reason the ancient civilizations often arose vicinally to volcanoes: in Italy, in Peru, in Mexico, in Crete and, particularly, in Indonesia. Indeed, it seems that volcanic-based agriculture developed earlier than flood-based agriculture. As all things indicate, the first site of all to utilize this advanced technique was Indonesia, the true site of the Garden of Eden and of the origin of civilization. Indonesia is the most volcanically active region in the world. Even today Indonesia derives its peerless fertility from the many volcanoes that make both its glory and its periodic doom. However, for the volcanic cinders to be really useful, another clever invention had to be implemented: that of terraced agriculture. Volcanic regions such as Indonesia are mountainous. In mountains, the rains tend to wash down the soil, preventing their agricultural use. The use of terraces, however, prevents this down-washing, conserving both the water and the fertilizers of the agricultural soil. The rain water is stored in dams at the top of the mountains, and is made to wind its way along the terraces, where the plantation is done. The result is an enormous production which often yields two and even three crops a year. This feature was pointed out by Plato in his description of Atlantis. If the great philosopher was not lying shamelessly, we are led to conclude that irrigated, terraced agriculture was indeed an Atlantean invention. Terraced agriculture is to be found, even today, in most areas of Atlantean influence where volcanoes exist: the Indonesian islands, Japan, China, Southern Italy (Etna, Vesuvius), Crete (Thera), the Peruvian Andes, Mexico, etc.. The tradition of terraced agriculture goes hand in hand with the one of stepped pyramids. Indeed, stepped pyramids represent the Holy Mountain, itself a volcano whose slopes were terraced for agricultural reasons. This Holy Mountain is no other than Mt. Atlas and, more exactly, Mt. Meru. Mt. Meru is, as we already said, the sacred mountain of the Hindus and the Buddhists of India, Indonesia and the Far East in general. The legend of Mount Meru subsumes the tragedy of Atlantis. Attracted to that volcanic peak like flies to honey, the Atlanteans there met their doom eventually. When their volcano exploded, killing them en masse, and extinguishing their formidably advanced civilization, the Atlanteans disappeared from the scene. But they left behind their legend, which is as undying as the smile of the Cheshire cat. The tradition of terraced agriculture symbolized by the stepped pyramids is encountered even in nations that had no volcanoes and, even less, terrace based agriculture. Such was the case of Mesopotamia and Egypt. Their fascination with these two features can only be the result of an intensive Atlantean influence. The legendary Civilizing Heroes of these nations  personages such as Thoth, Osiris, Dercetto and the Oannès  were indeed Atlanteans mythified as gods and identified with the Nagas (or Titans) of Indonesia. The first Egyptian pyramid, the one of Zozer, was a stepped pyramid which corresponds in both shape and ritual function with the ones of Indonesia (Borobudur) and Southeast Asia (Angkor Vat, Angkor Thom, Bakong, etc.). As we see, there can be hardly any doubt that the tradition of pyramid building derives from that of terraced agriculture and that both traditions originated in Indonesia, the true site of Atlantis, of Eden, and of the origin of Agriculture. How else could the tradition of terraced agriculture have reached Egypt and Babylon,  where it never existed  but from the Far East, where it was developed? Whence else could it have reached both the Old and the New Worlds so early in time? The Hanging Gardens of Babylon  one of the Seven Wonders of the Ancient World  were no other thing than a terraced mountain created artificially. The Babylonian ziggurats (or “temple-mountains”) were indeed stepped pyramids representing the same idea. The same thing also obtains in Egypt and in the Americas. Queen Hatshepsut also built her replica of the “Garden of Lebanon”, which is none but the Garden of Eden replicated by Queen Semiramis. King Solomon, in keeping with this ancient tradition, also built his own copy of the Garden of Eden (primeval “Lebanon”) near his palace, in a legendary Jerusalem that never was indeed, except in the Atlantean tradition, where it is just an alter name for Atlantis’ capital city. The Egyptians often represented such “gardens” by an effigy of Osiris planted with corn, his gift to humanity. Osiris, the dying-resurrecting god of the Holy Mountain was, like Atlas, considered to be the Pillar of Heaven (Tet). Indeed, the Egyptian Tale the Two Brothers is an almost verbatim replica of the one of Atlas and Gadeiros, the many-named co-rulers of Atlantis according to Plato. The two brothers contend, and one kills the other, who later resurrects from among the dead. As we see, this duel corresponds to the one of Osiris and Seth, as well as its many counterparts. But all these are indeed allegories of the War of Atlantis, where the two brothers are the “Greeks” and the Atlanteans, who fight to the bitter end and to their own mutual destruction. One of the surest of all genetic traits connecting two different populational groups is that of blood types. More recent research has led to genotypes that are even more efficient for that purpose. A global project, is now in course to determine the genotypes of the diverse human groups, and in a few years we will be able to determine with certainty who’s who and who derived from whom. But, in the meanwhile we must be content with far less than that. What we have personally been able to determine so far is that O Blood Type is typical of what we may call the “Red Races” of Atlantis. This type of blood is characteristic of the red races of the Americas; of the Canarian Guanches; of the Basques of France and Spain, of the Scandinavians, of the Celts of the British Isles and the Atlantic coasts of France, as well as of certain peoples of Polynesia and Indonesia. Plato could not, of course, have foretold such a modern development. But it is far more than a coincidence that the ancient “Reds” or “Royals” (Kshatryas or Rajputs = “Sons of Kings”) claimed to have a different blood than commoners, the so-called “blue-blood”. Perhaps this is yet another legacy of the Atlantean science degenerated into a legendary tradition on the existence of a superior race of different blood destined to rule the others. Accordingly, we marked the entries on our Checklist on this issue, as follows: Doubtful ( ): Plato, Thera/Crete, Sunken Atlantic Island, Antarctica, Tartessos, for we do not yet have no way of determining the blood types of these populations. However, this is a definite future possibility with fossil studies of mitochondrial DNA. Positive possibilities ( ) are: Scandinavia, the Incas, the Mayas, the African Northwest (Berbers), Celtiberia and certain white populations of Polynesia and the Indies. The only definite exclusion ( ) in our Checklist is Schliemann’s Troy, in Hisarlik (Turkey), as the blood types of Eastern Europe and the Near East are characteristically of the A-type, a sure indicator of an Asiatic origin. Of course, this fact likewise tends to exclude certain proposed locations which we did not list, such as the Bosporus and the Caucasus, as well as sites farther east, both in Europe and Asia. Some recommended books on the subject of Atlantis. Please visit our FAQ page to find basic information.